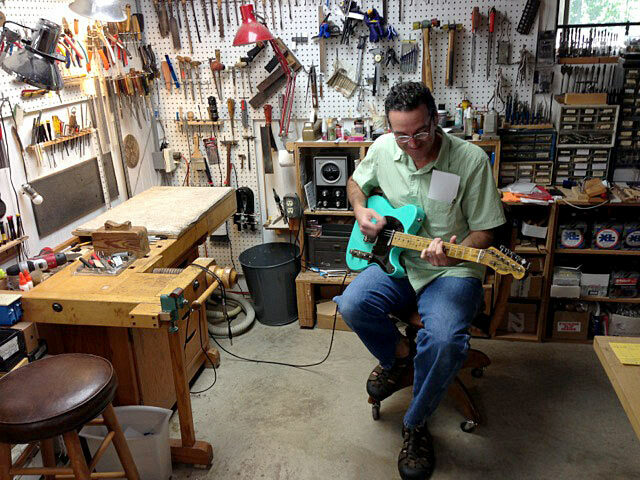 From Telecasters and Strats, to vintage Guilds and Gibsons and other beloved electric guitars, an experienced luthier will make all the difference. 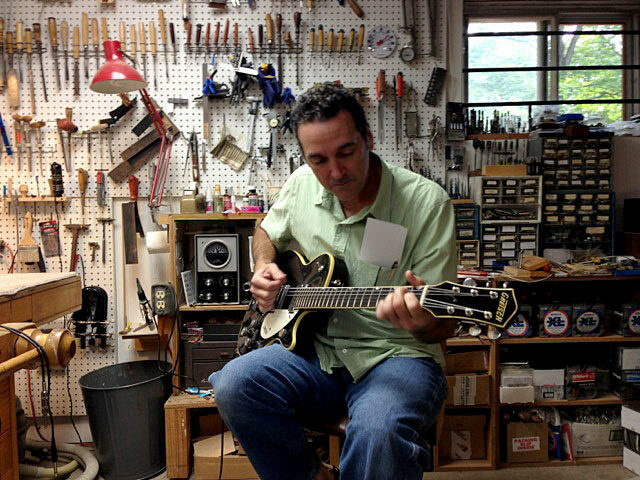 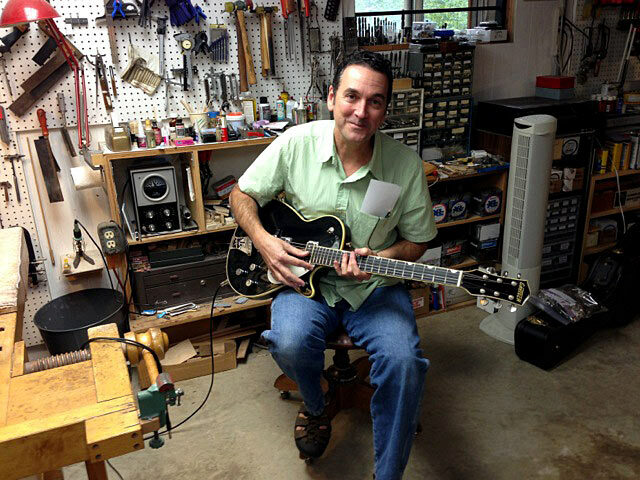 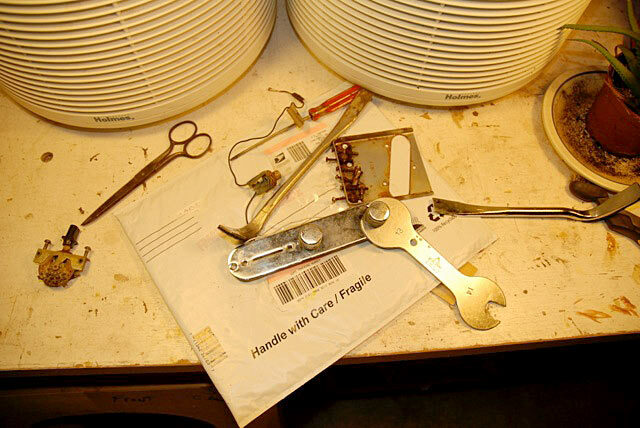 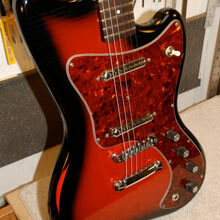 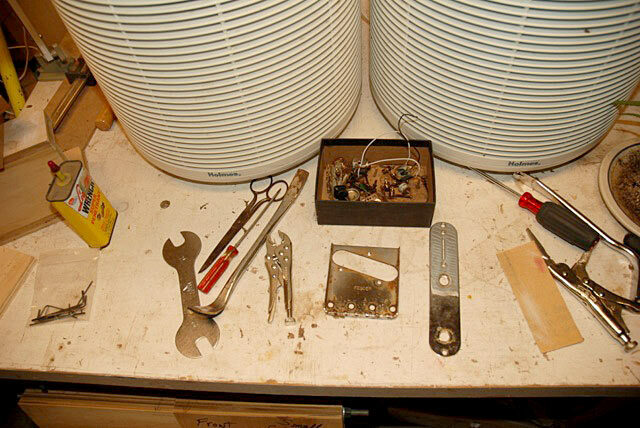 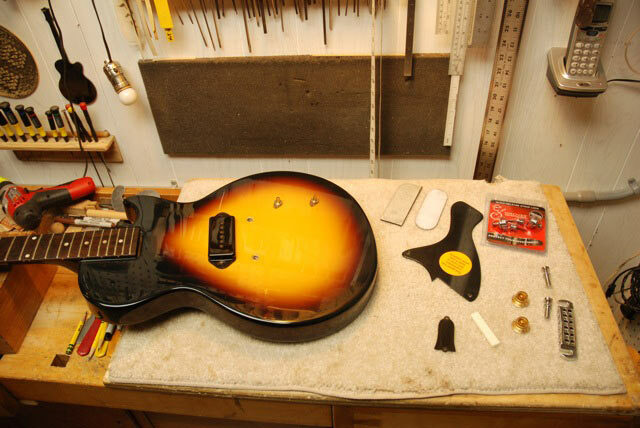 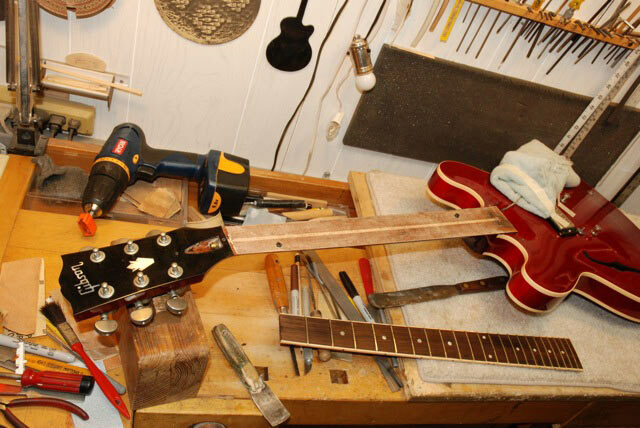 Dave's years of electric guitar repairs, restorations and setups will prove significant to the end result. 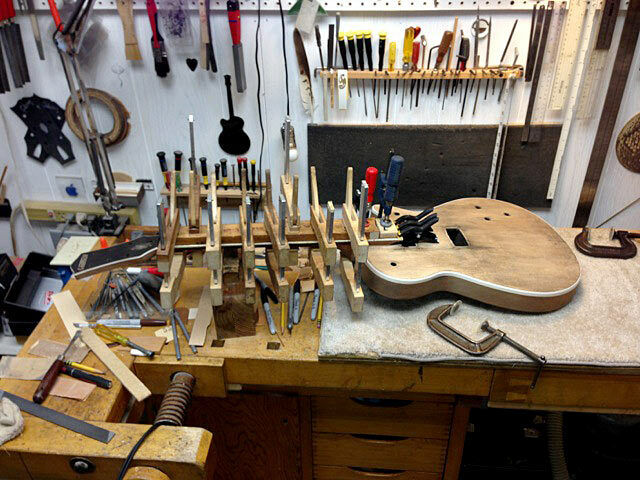 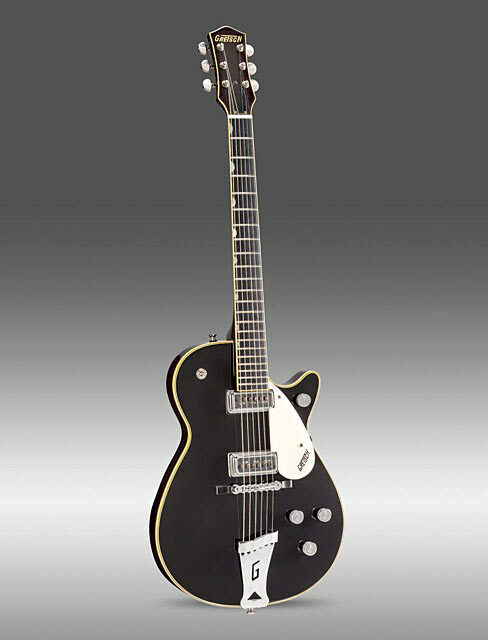 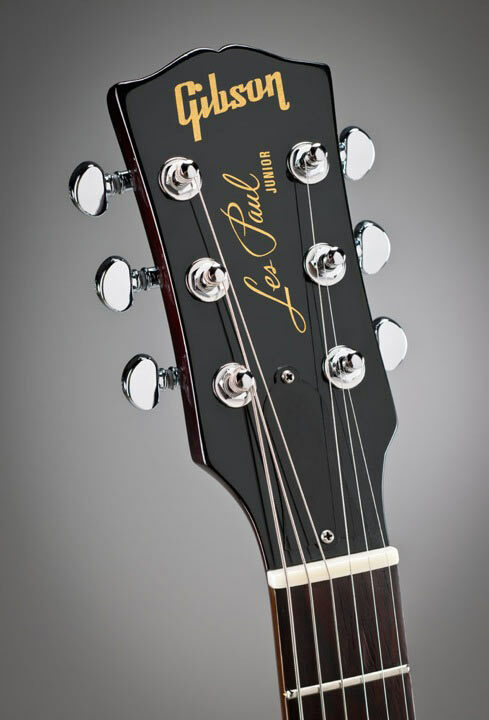 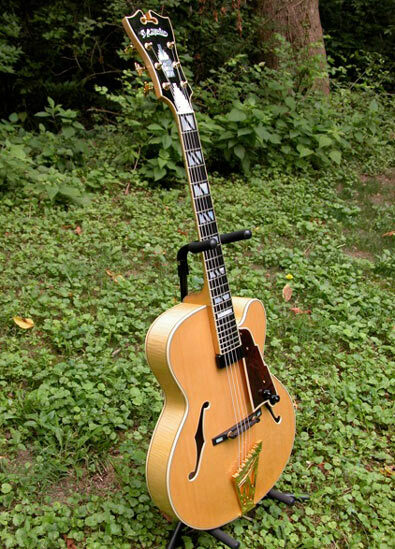 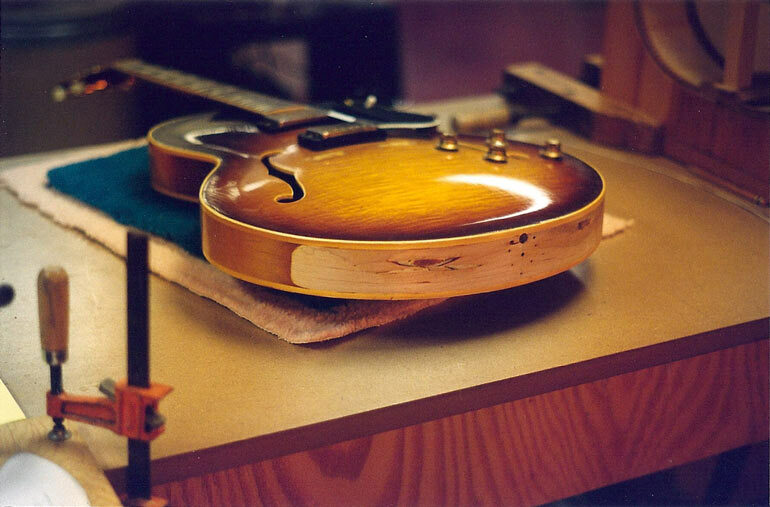 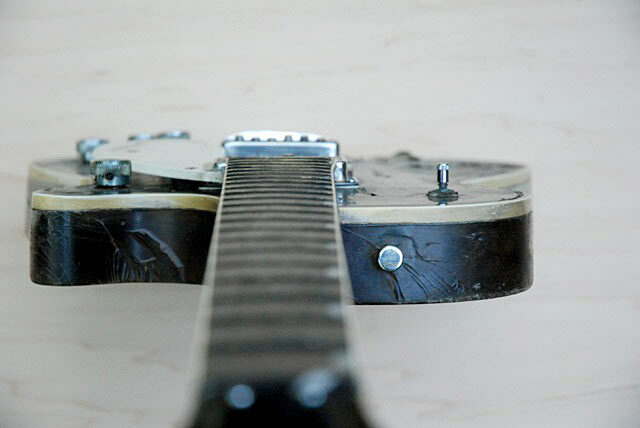 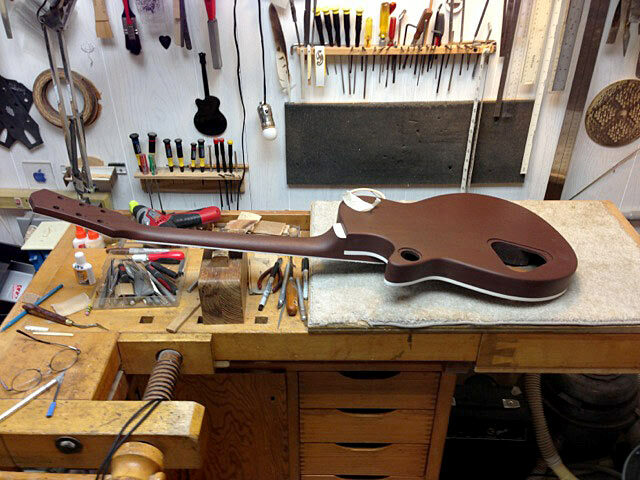 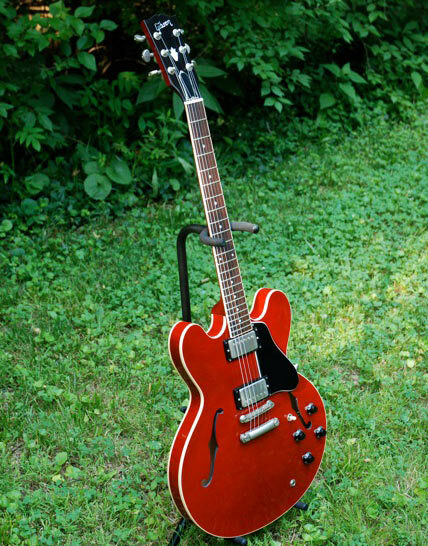 Trust the hands that have worked on instruments for some of the most noted musicians of the past few decades, as well as those local New York musicians who covet their guitars. 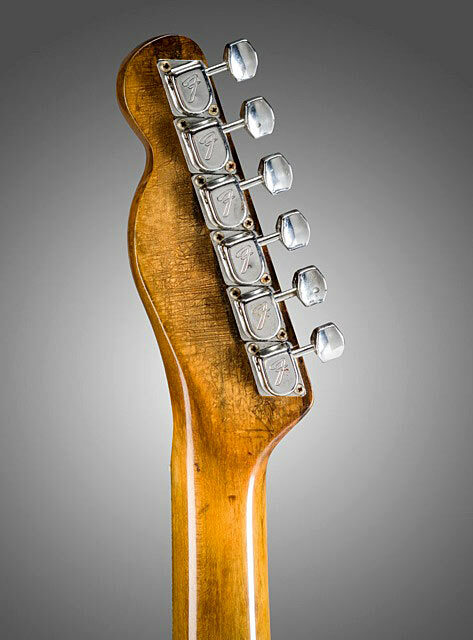 We provide 3 galleries to peruse at your leisure. 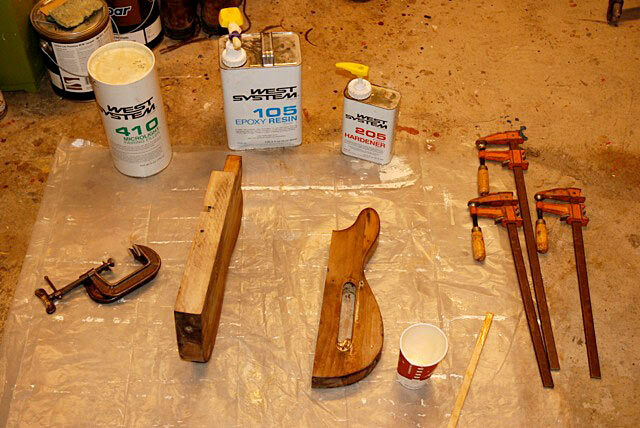 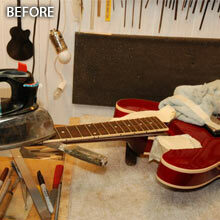 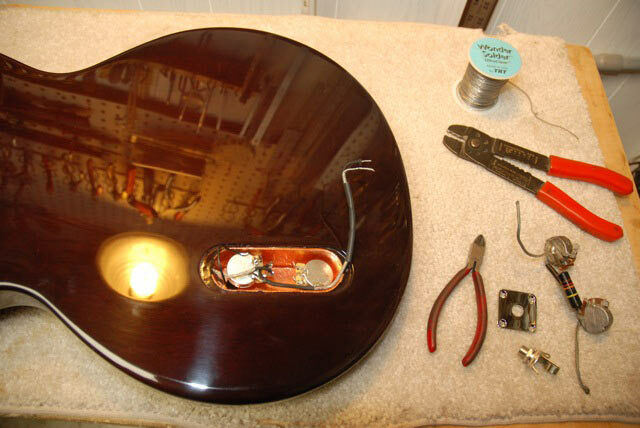 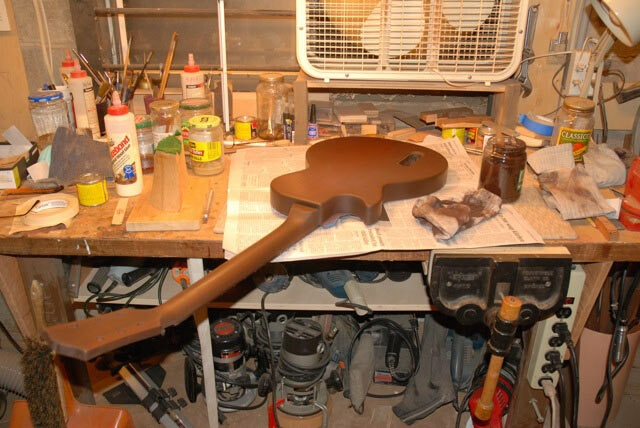 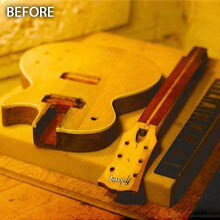 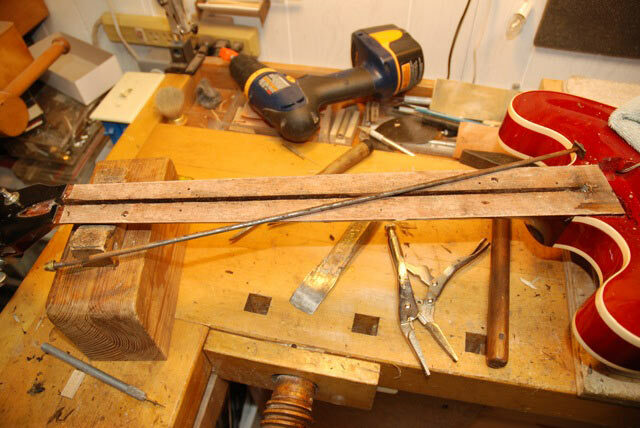 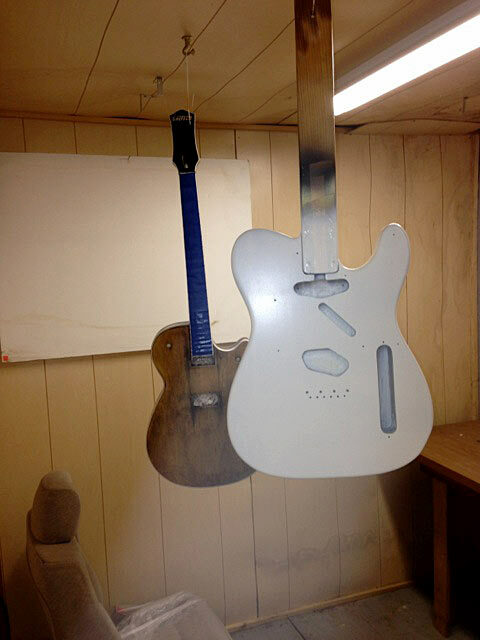 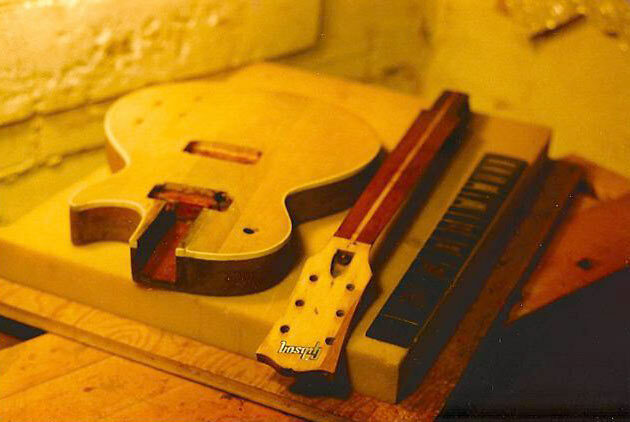 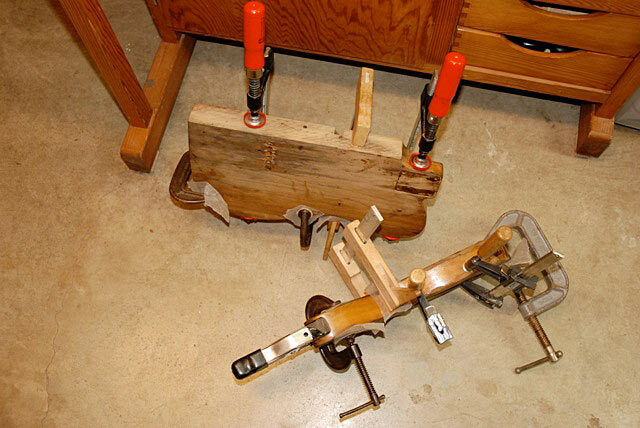 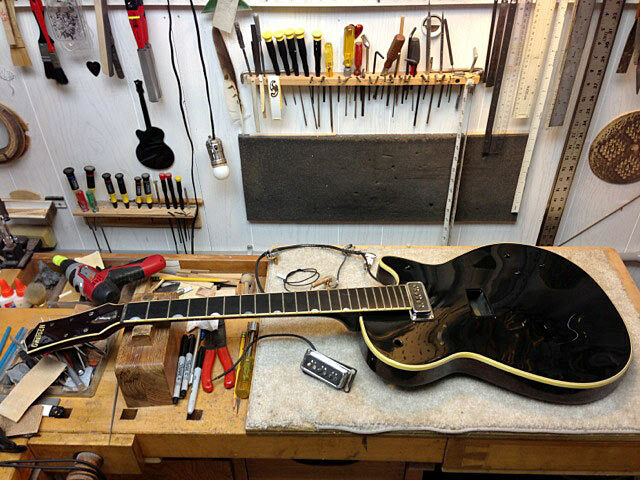 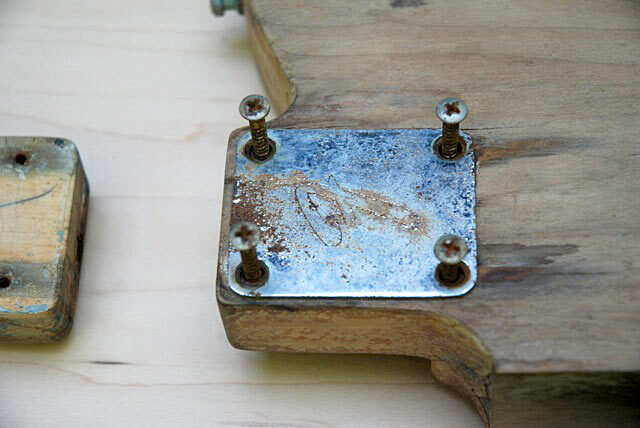 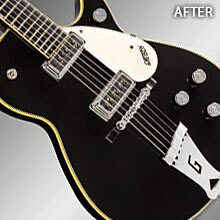 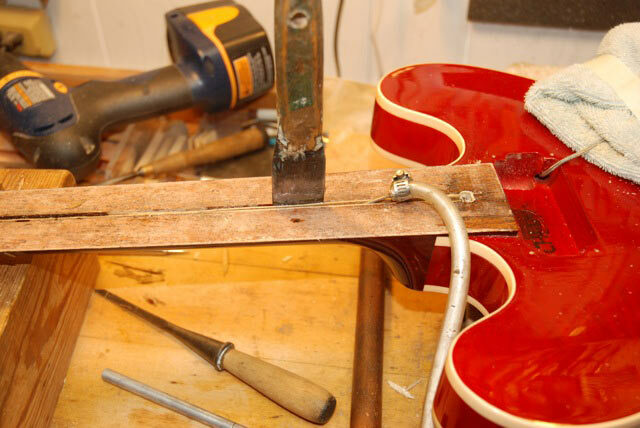 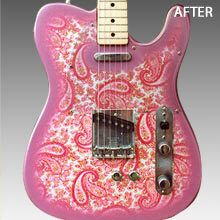 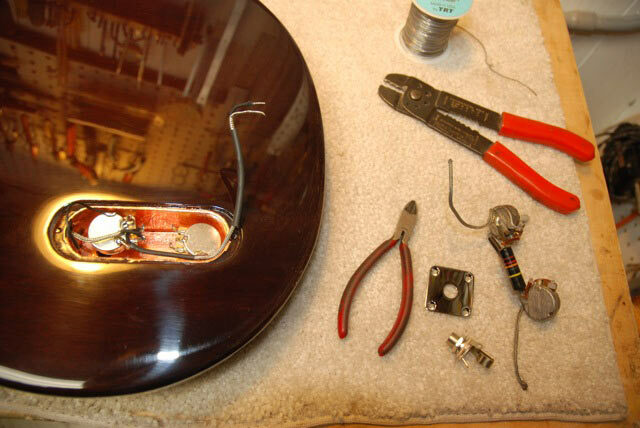 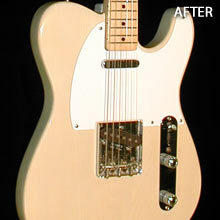 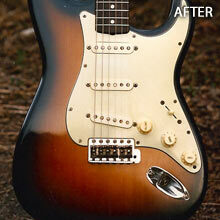 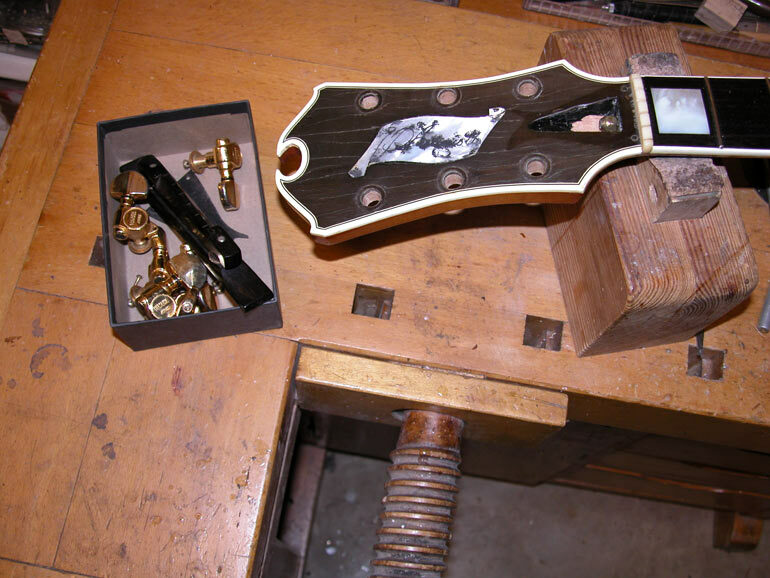 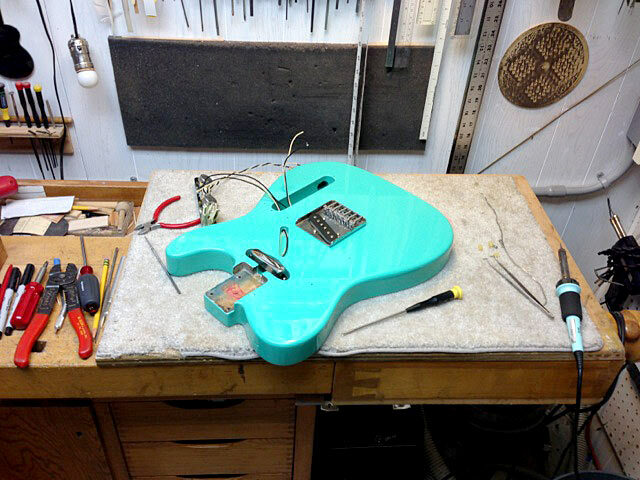 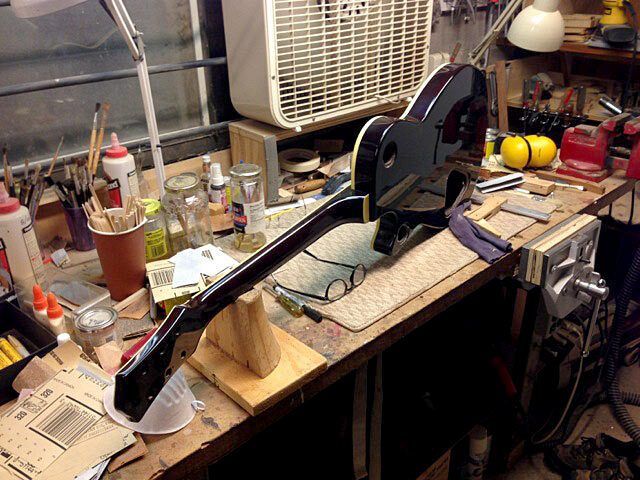 The Before and After Gallery gives you a solid idea of the extent of our major guitar repair and restoration work. 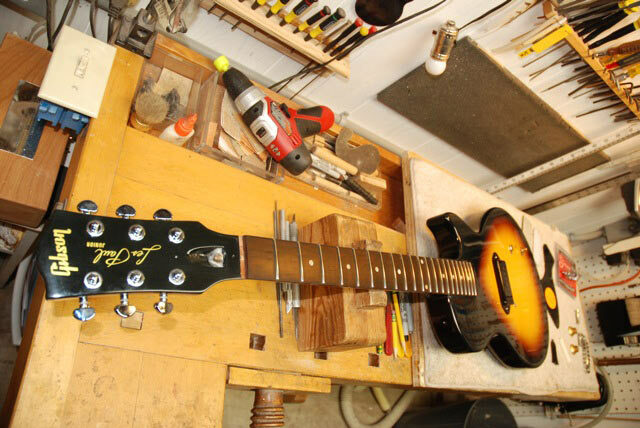 The Repair and Restoration Gallery offers brief overviews of the work along with a shot of the guitar once the repairs have been completed. 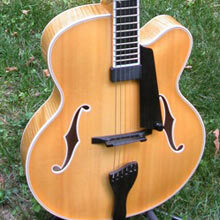 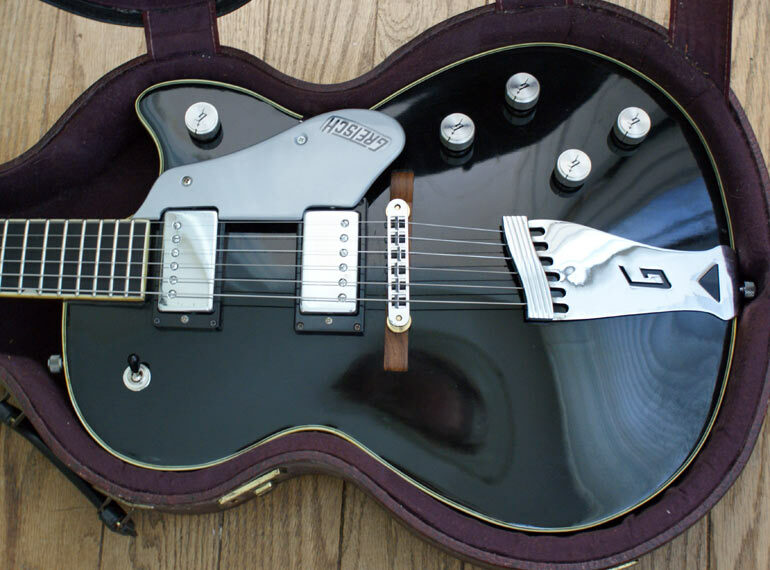 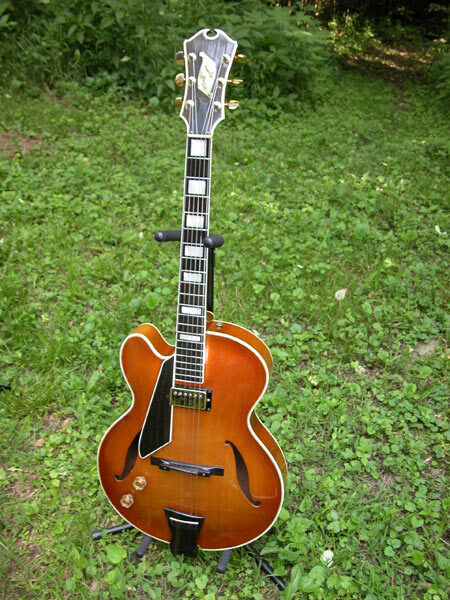 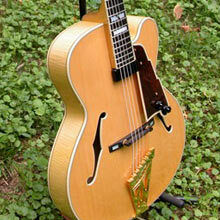 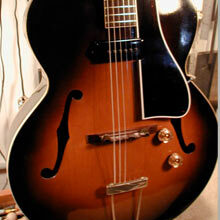 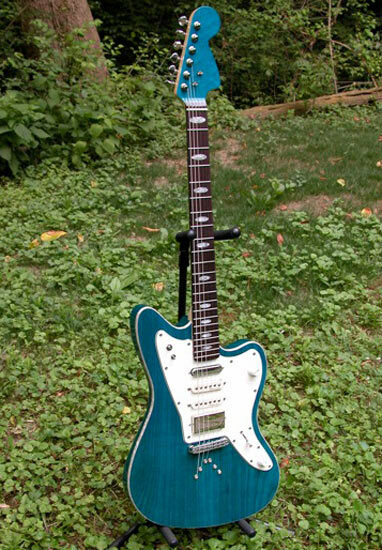 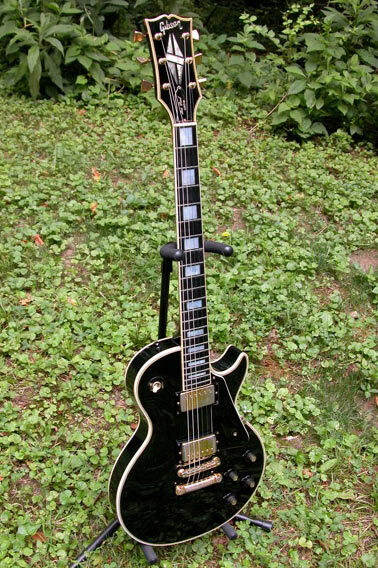 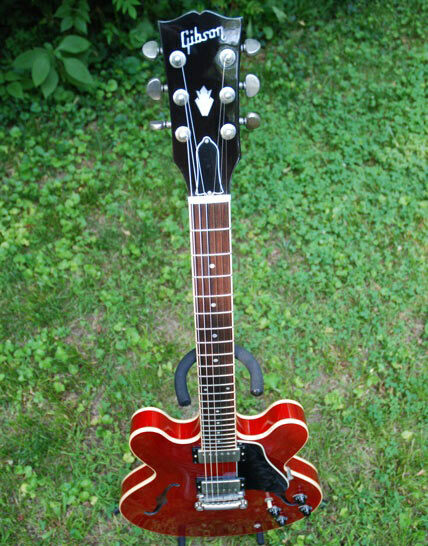 And the Guitar Setup Gallery shows some of the fine guitars that Dave has setup over the years. 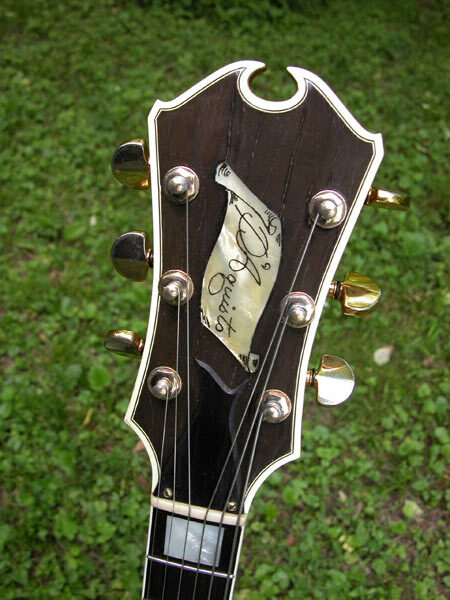 These guitars were brought to me by a gentleman who lived in New Orleans and went through hurricane Katrina. 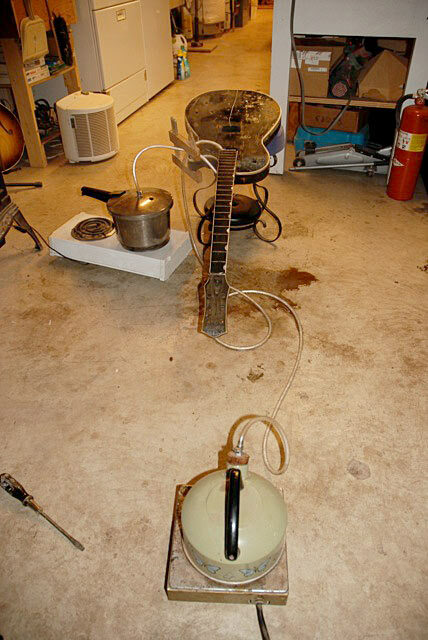 He had to leave his house to avoid the hurricane and leave all his instruments behind. 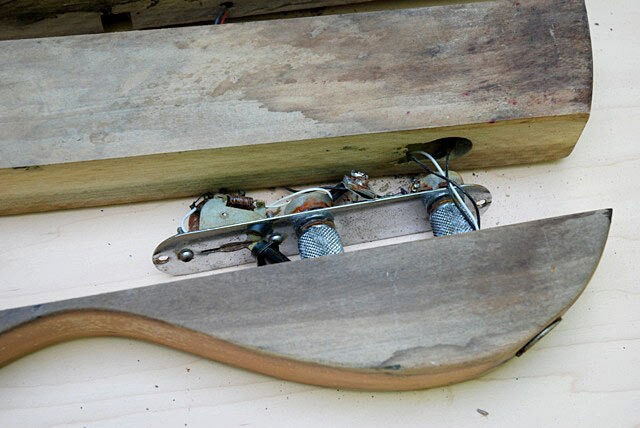 When he returned, he realized they were floating in the harsh waters inside the house! 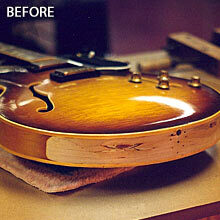 They were very, very difficult restorations, some of the hardest in my career! 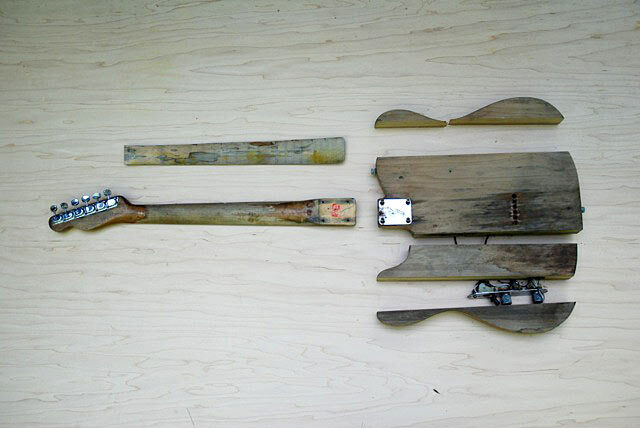 After seeing them for the first time I nearly refused to work on them because they were such a mess, but I could tell how much they were loved by their owner and how traumatized he was from the wrath of mother nature. 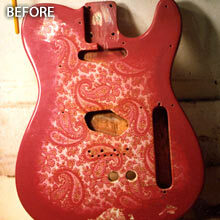 Have a look at these incredible complete restorations. 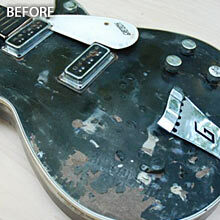 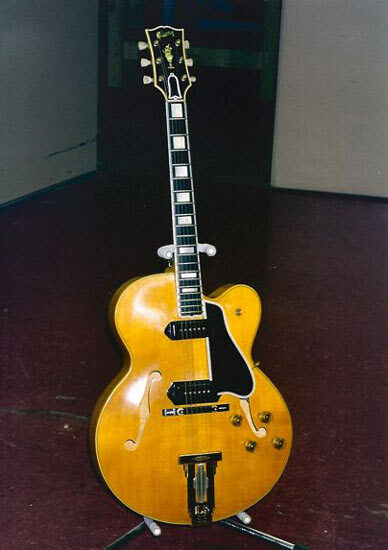 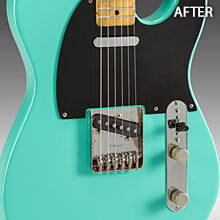 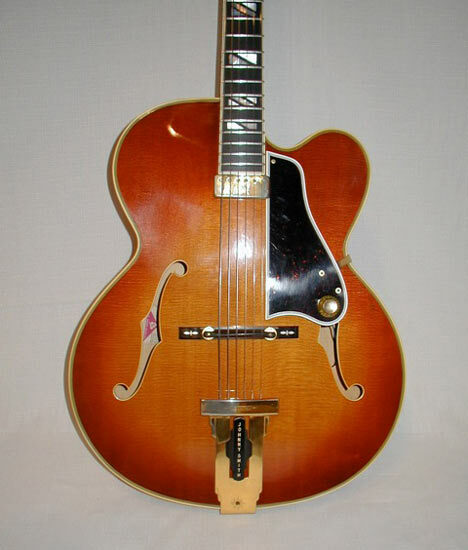 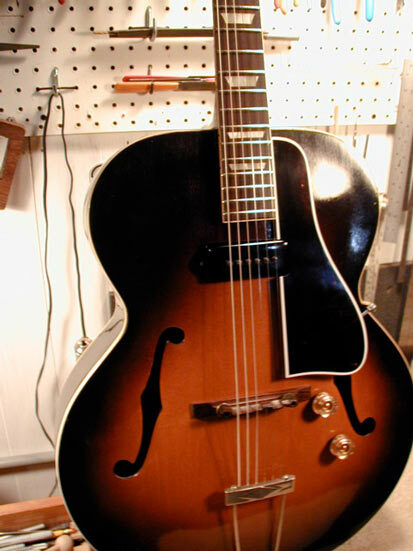 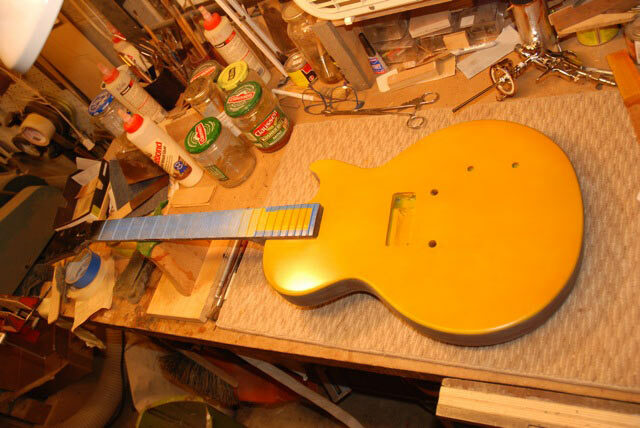 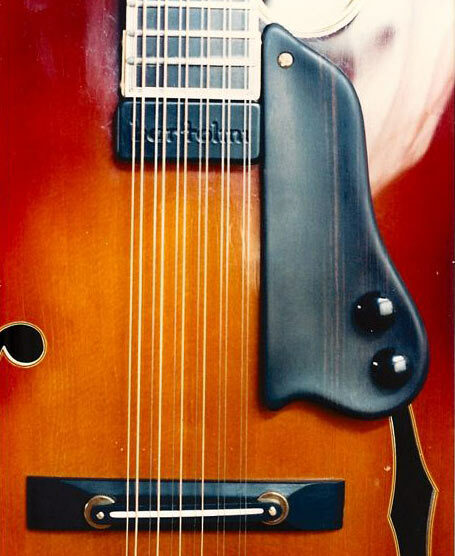 Click the before of after picture in the galleries below to view the full slideshow of these amazing guitar restorations. 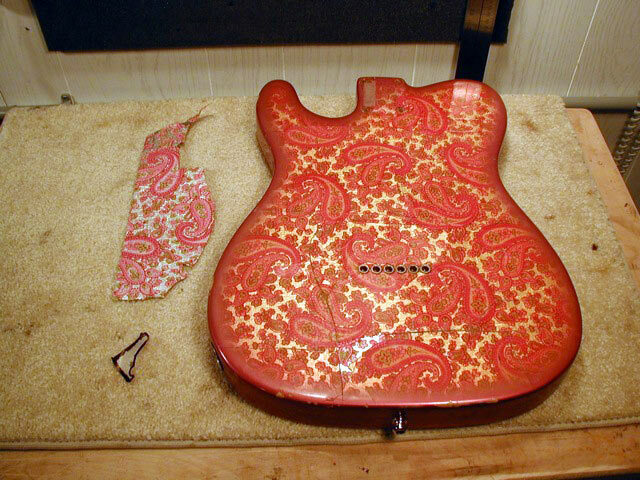 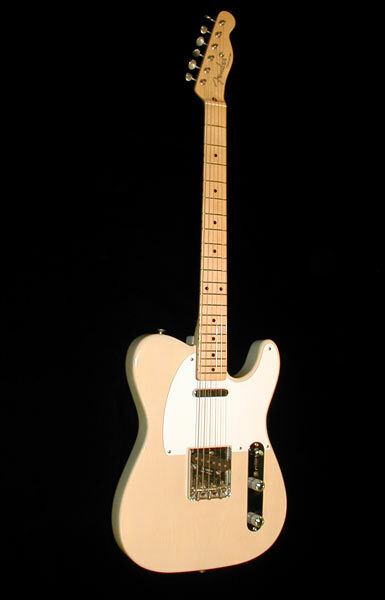 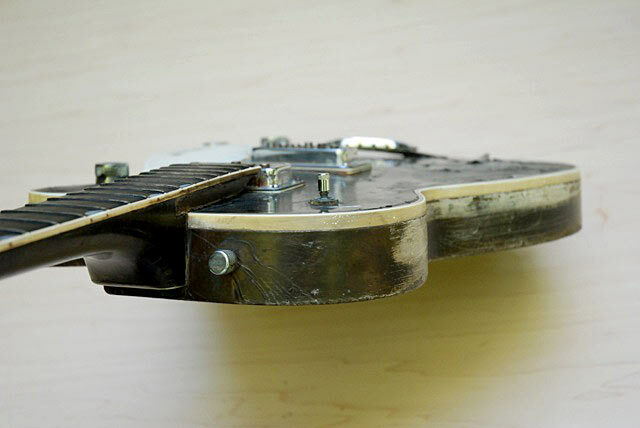 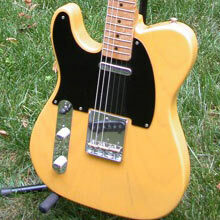 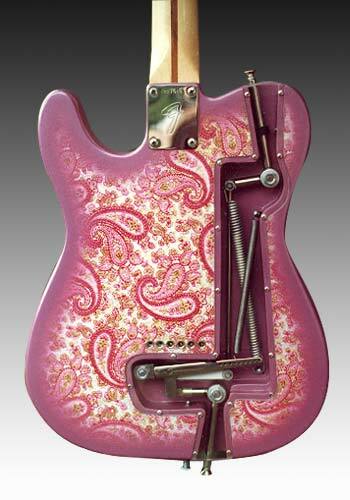 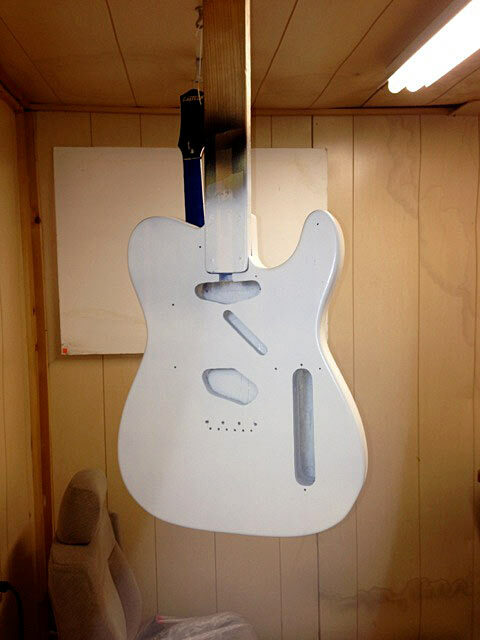 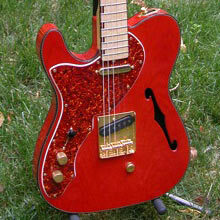 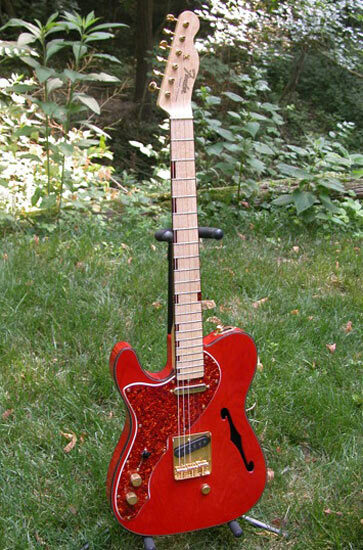 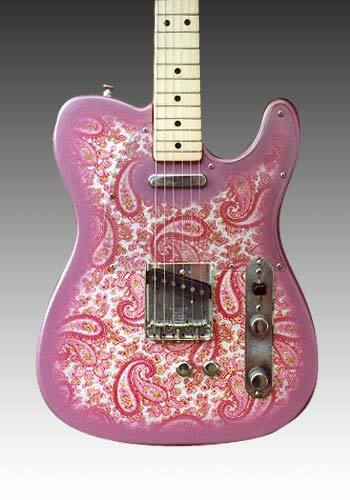 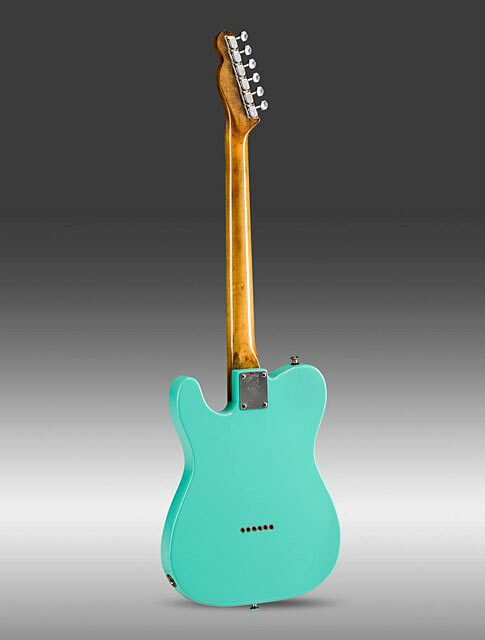 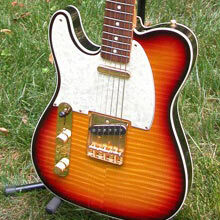 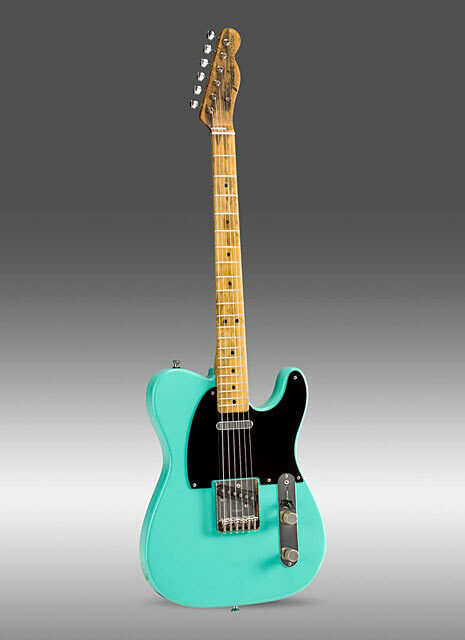 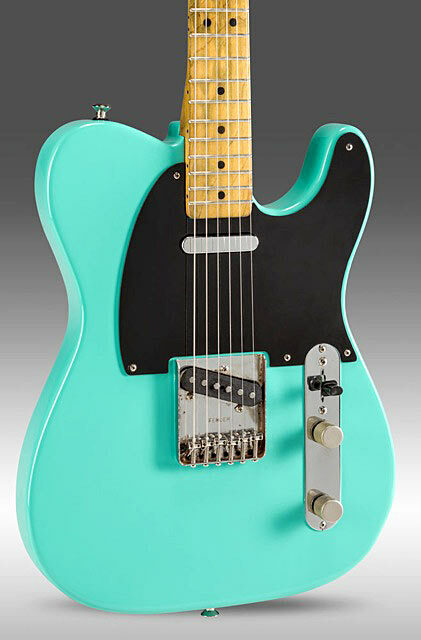 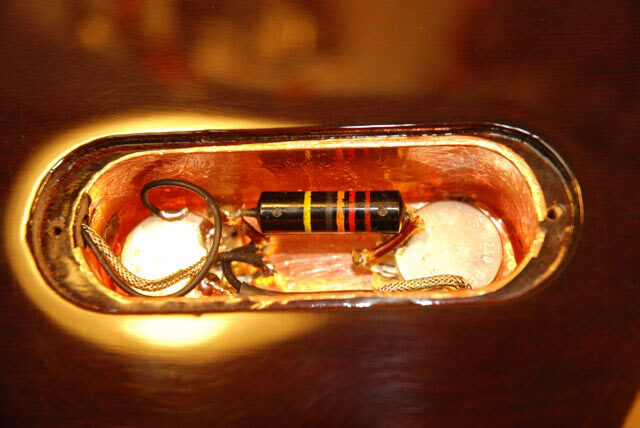 The body of the Telecaster had completely delaminated. 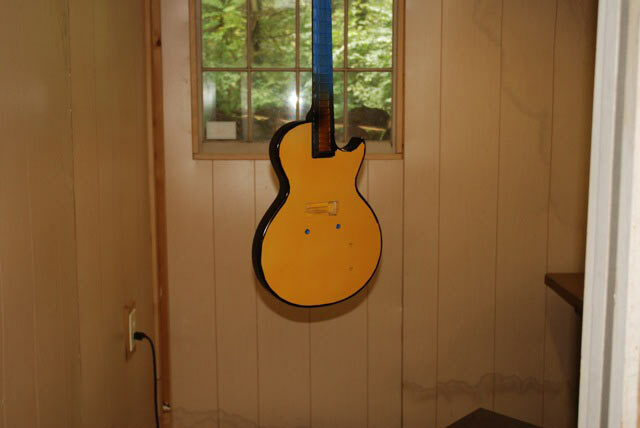 After investigating tell tale signs, we think that it was originally a 1968 Blue Flower that had been stripped of the wallpaper and paint. 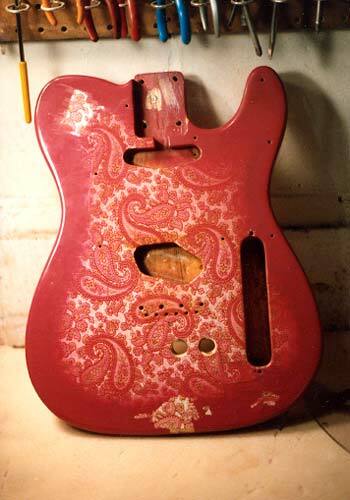 The four laminations on the body would be covered up by the wallpaper and paint in the Fender factory. 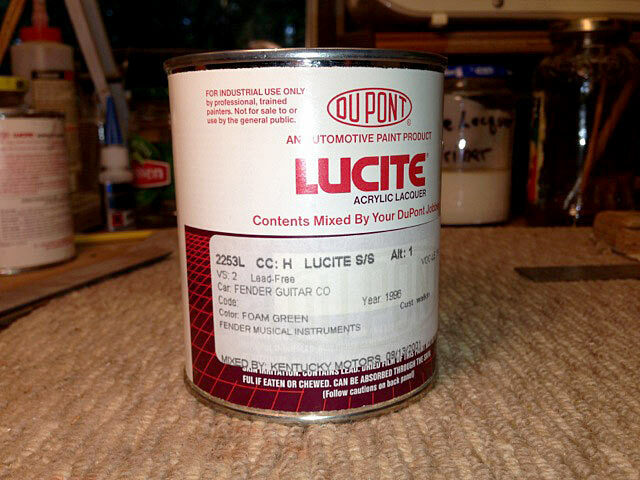 We decided to paint it foam green because of what it had gone through with Katrina. 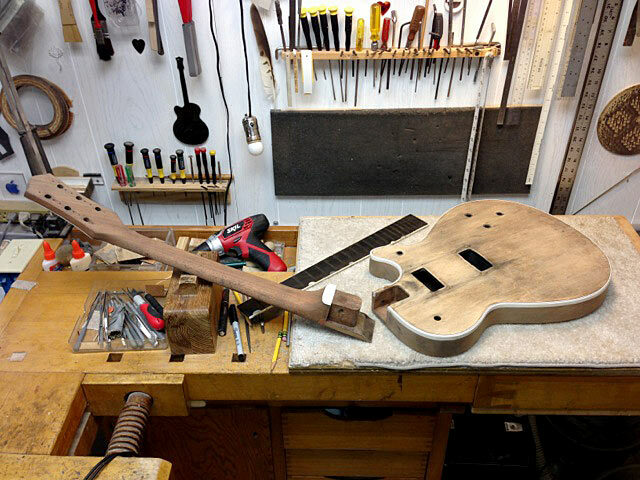 And to a nod to mother nature, we decided to leave the neck and head stock as it was because the beauty of the imperfection it possessed. 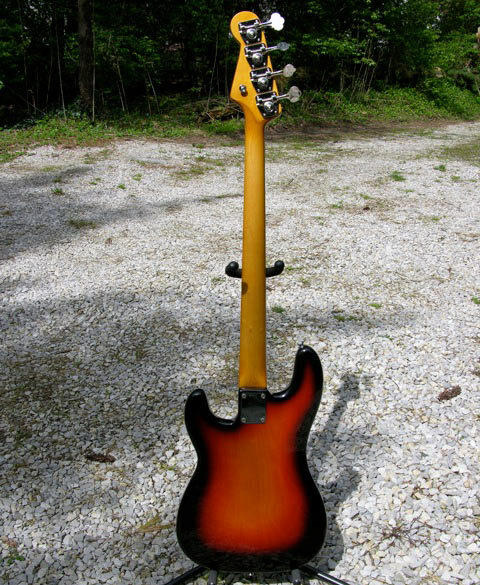 I sprayed a aged nitro lacquer over the neck to blend it together. 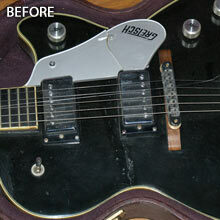 This was an intense restoration - not easy and quite time-consuming but it was worth it all! 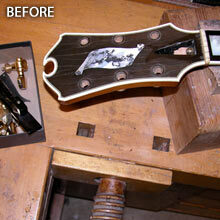 We replace the pick ups and electronics, all new frets and installed a custom bone nut. 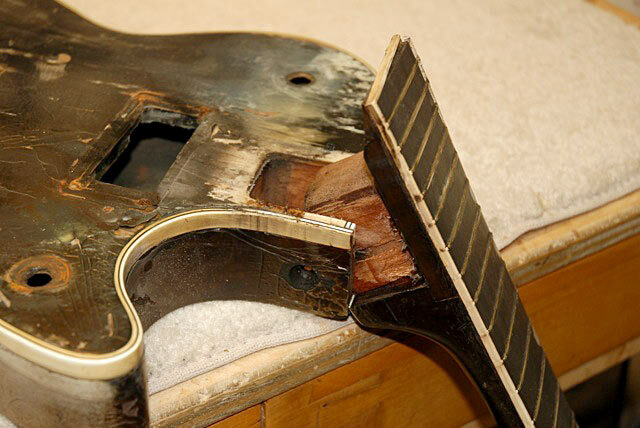 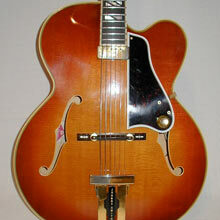 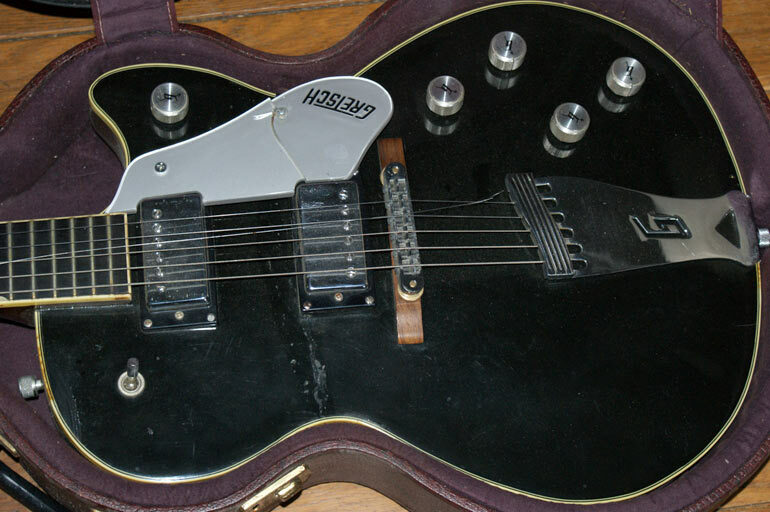 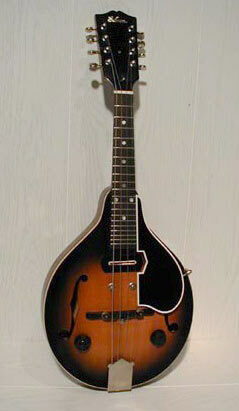 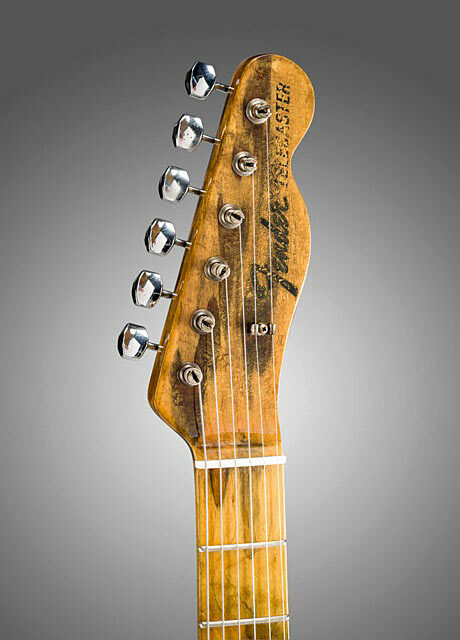 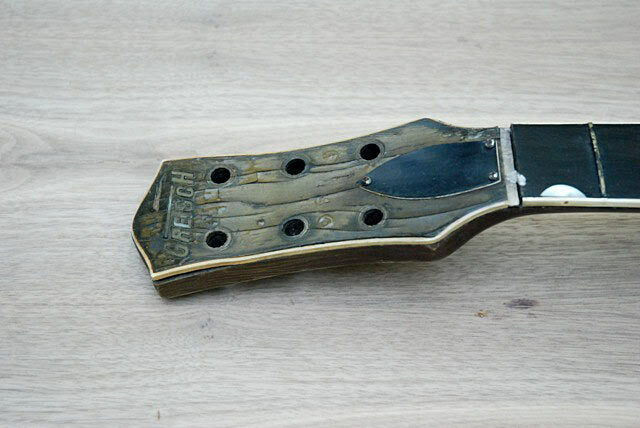 Amazingly enough, the tuners and the bridge saddles were salvageable. 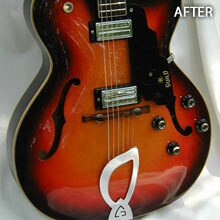 They were restored and worked fine. 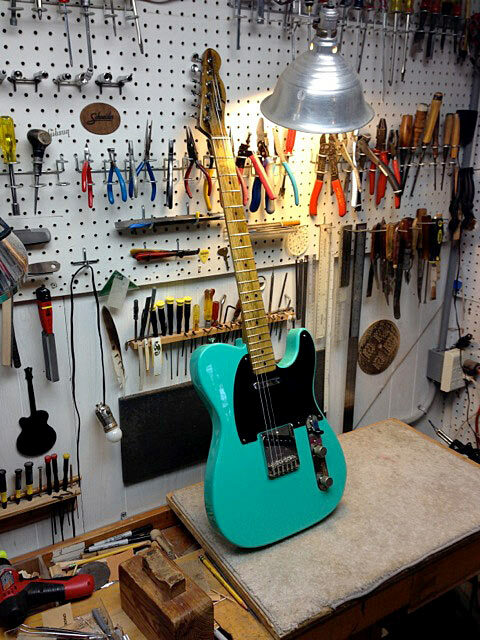 This guitar sounds incredible. 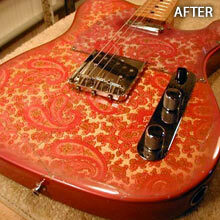 The owner was overwhelmingly happy when he saw these for the first time. 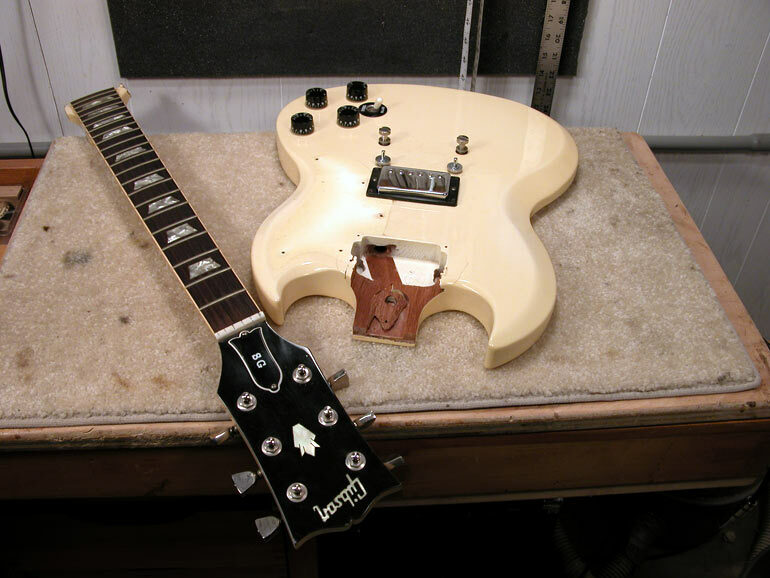 No doubt, these were some of the most intense but rewarding guitar restorations I have ever done - together they took a few years to complete. 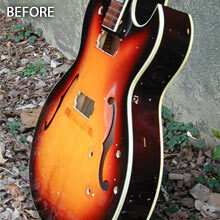 This was one of the most difficult restorations I have ever done. 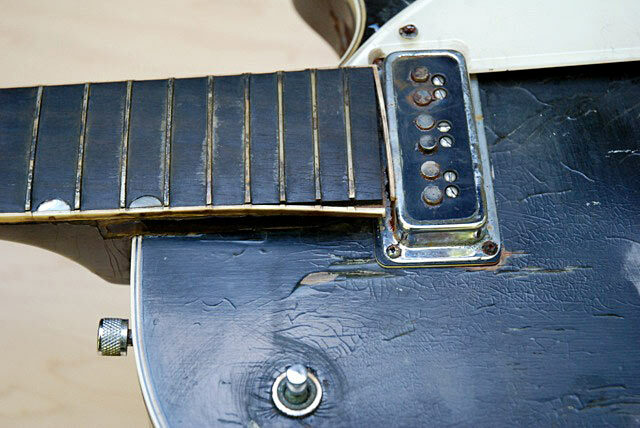 It seemed like it would never end. 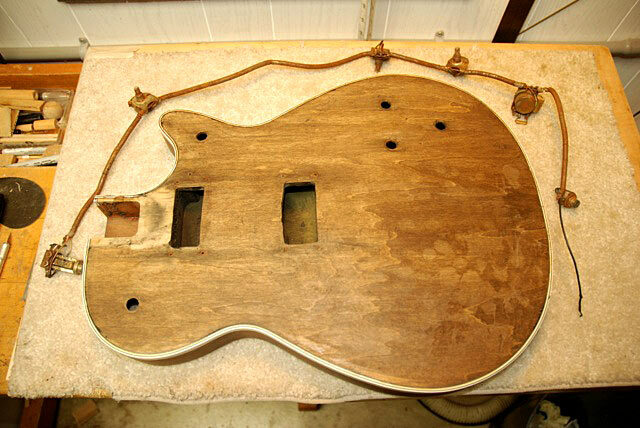 The neck had to be steamed off because it was at the wrong angle and someone had put a large screw from the side that was rusted/welded in the wood from the flood. 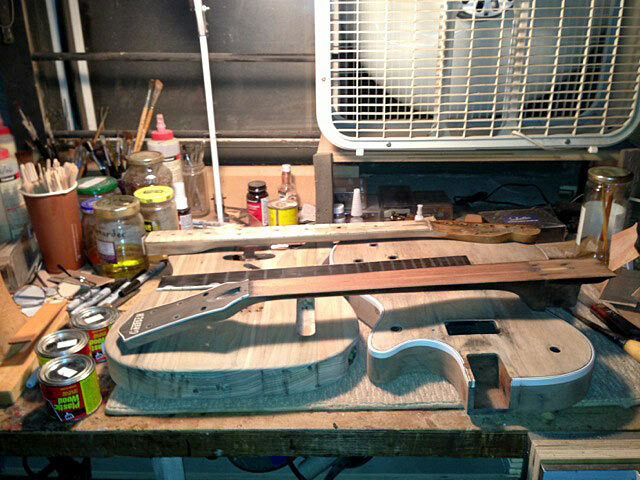 It took at least two hours with two steamers! 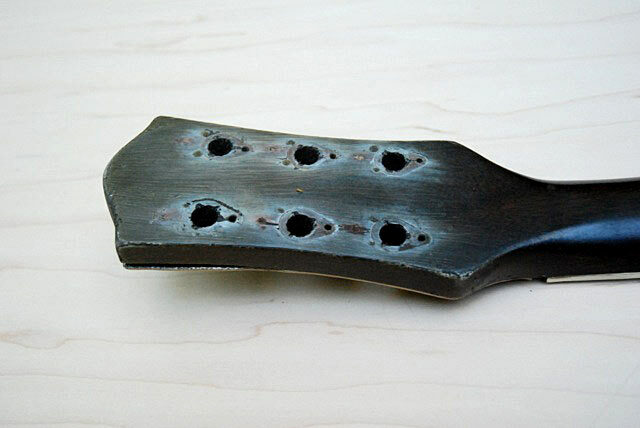 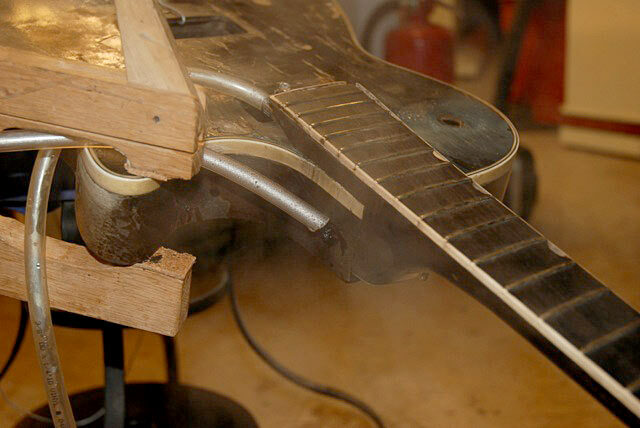 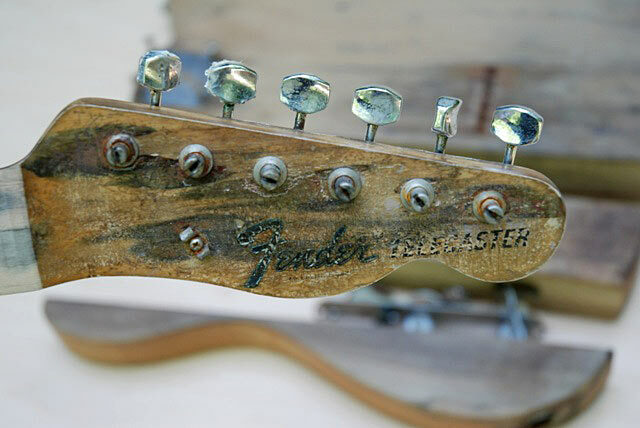 The headstock veneer was badly cracked and was a real mess. 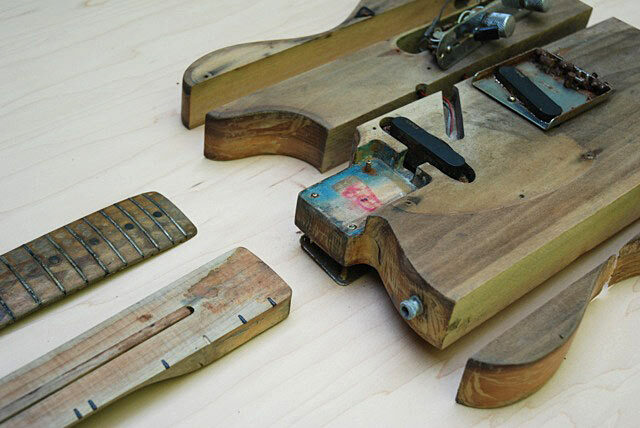 The fingerboard pealed off easily. 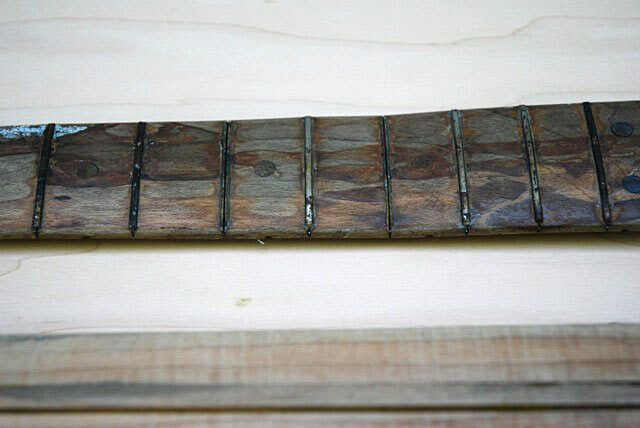 The body was fairly intact but was delaminating. 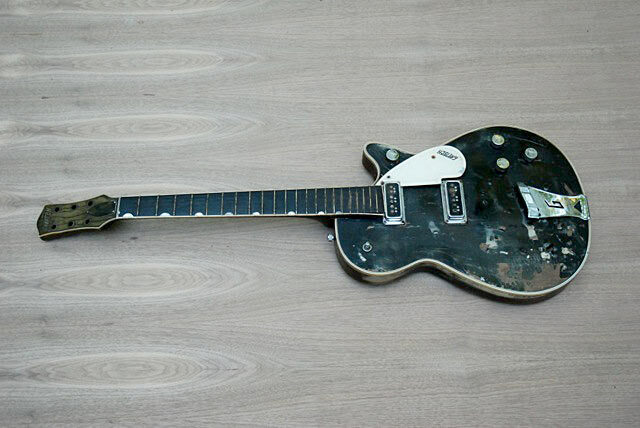 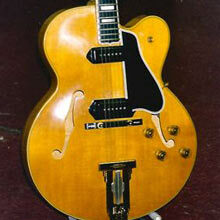 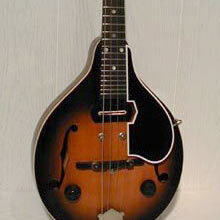 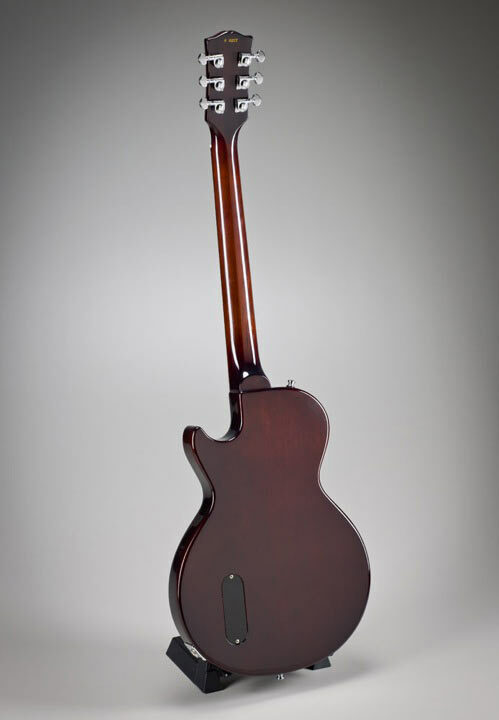 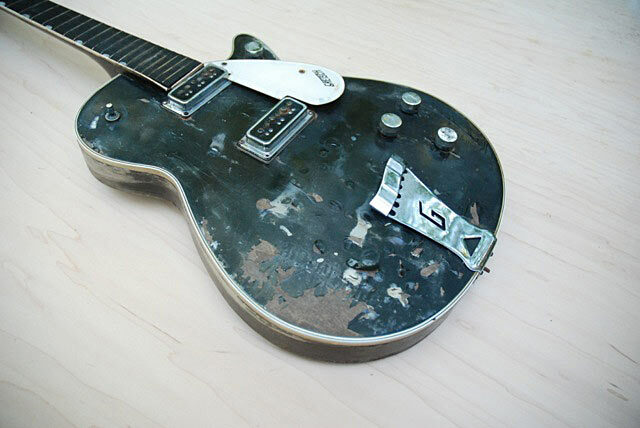 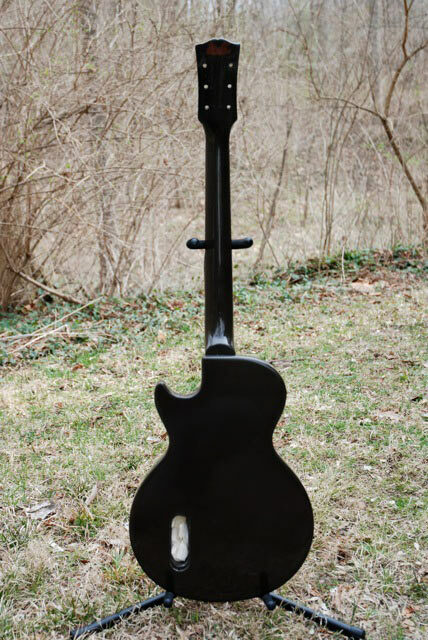 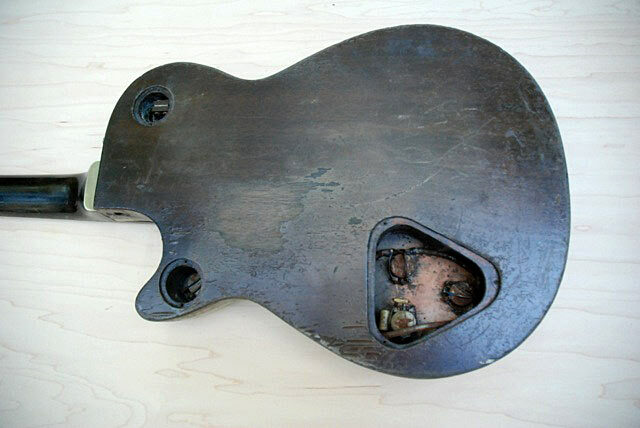 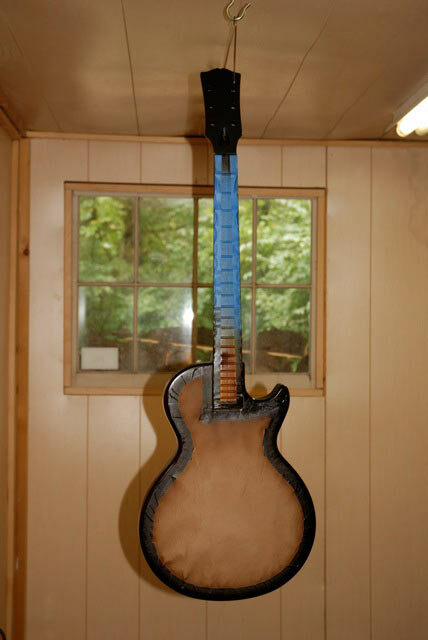 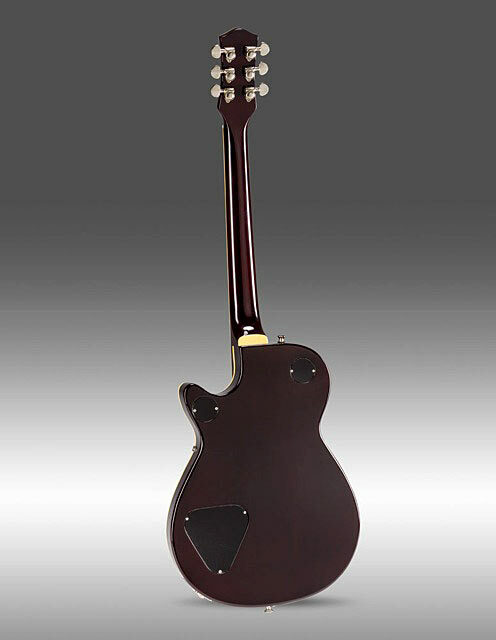 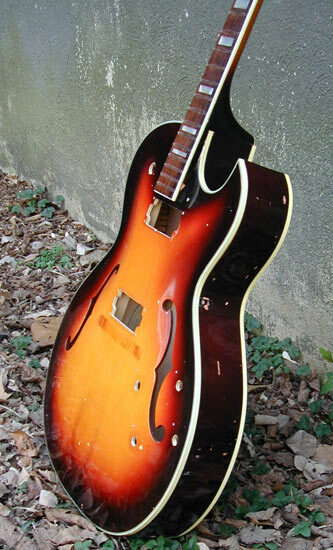 It is a hollow body guitar and was filled with water during the flood - OUCH! 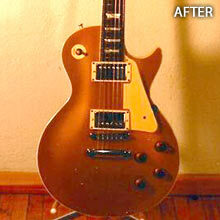 The bridge pickup didn't work but with some TLC I was able to bring it back to life. 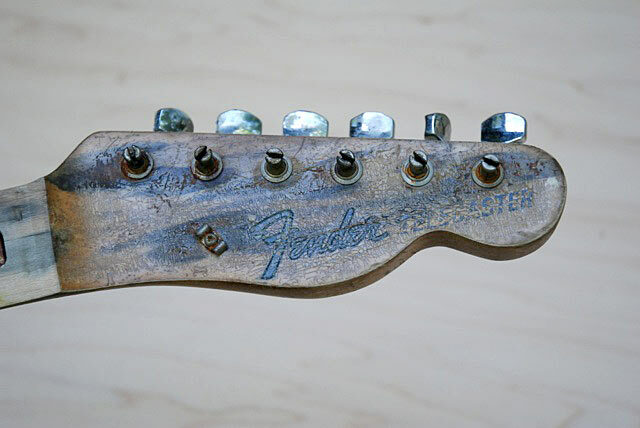 The pickups are original and now work great. 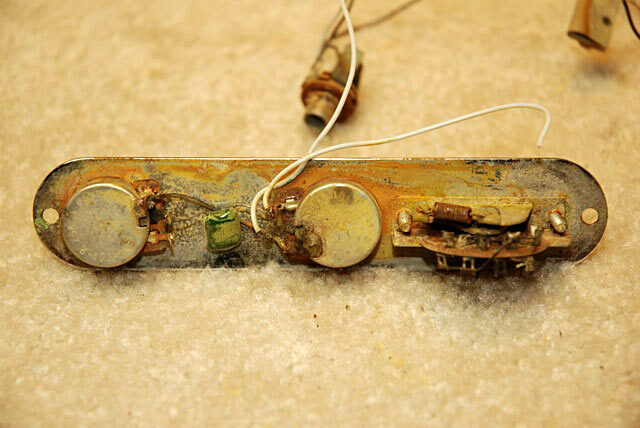 The electronics were badly corroded and had to be replaced. 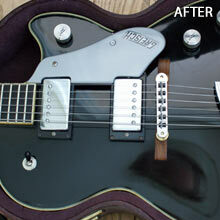 Restoring the black nitro lacquer was quite a task. 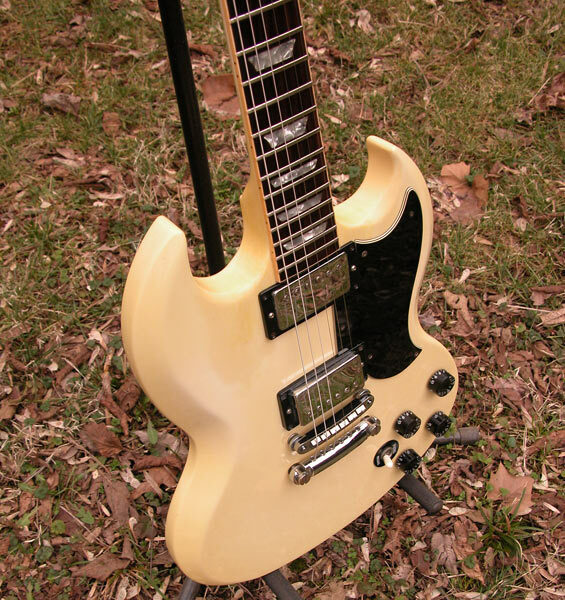 I yellowed all the white binding to make it period correct. 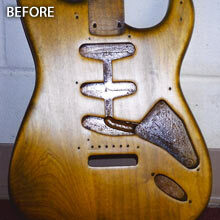 This restoration was very time-consuming and intense. 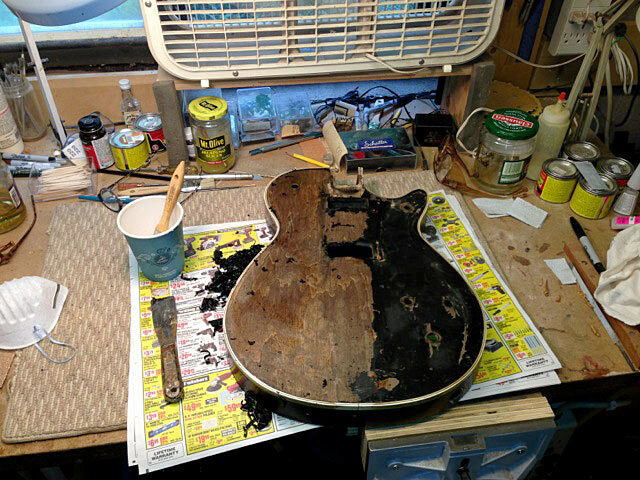 It was all worthwhile the minute David saw it then played it for the first time since the hurricane. 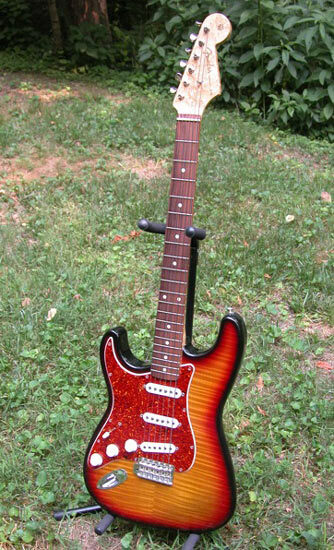 Simple click any of the below images to view a larger slideshow for each individual guitar. 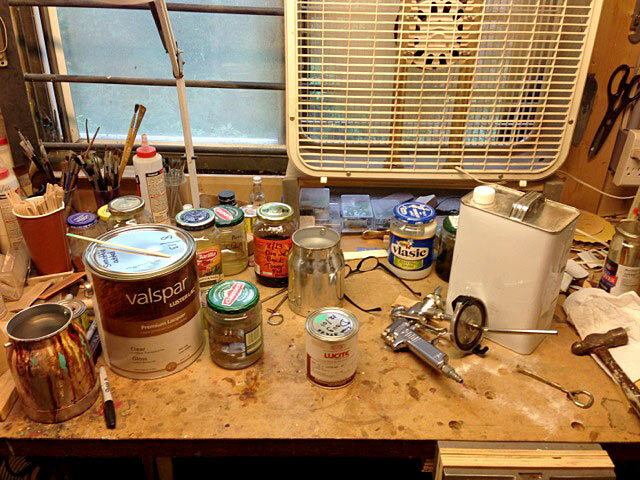 Stripped off old wallpaper and replace with original Borden company wallpaper. 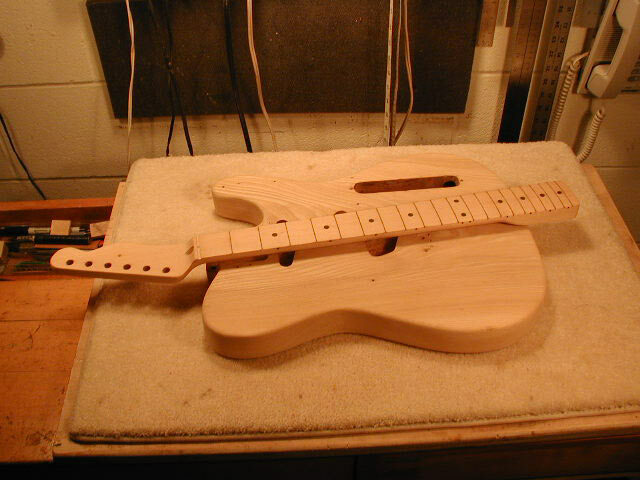 Installed B and E Bender. 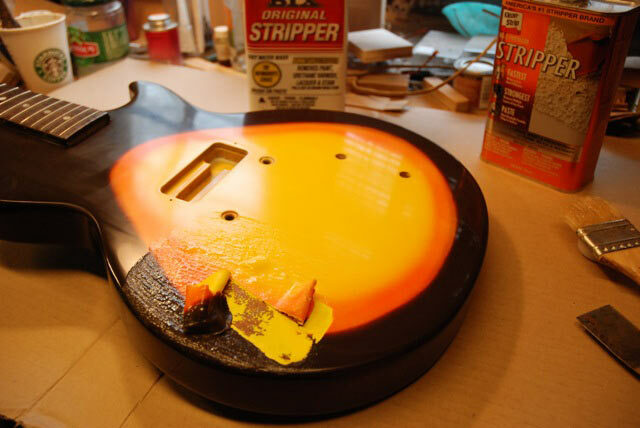 New metallic sunburst, custom plexiglass back-plate. 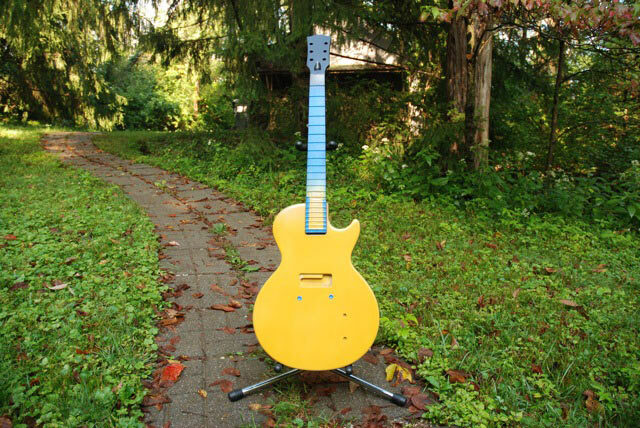 Complete guitar setup. 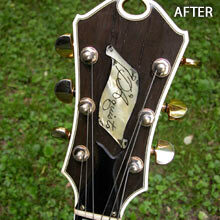 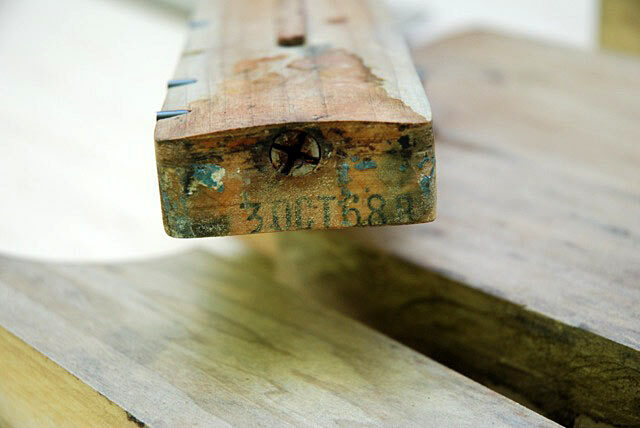 Pigment for the D'Aquisto brand on the headstock was falling out. 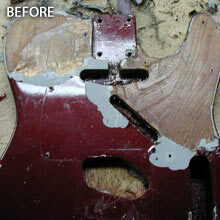 Replaced black filler material. 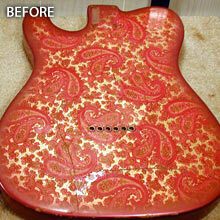 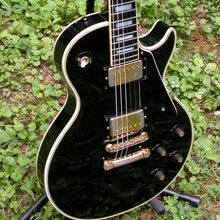 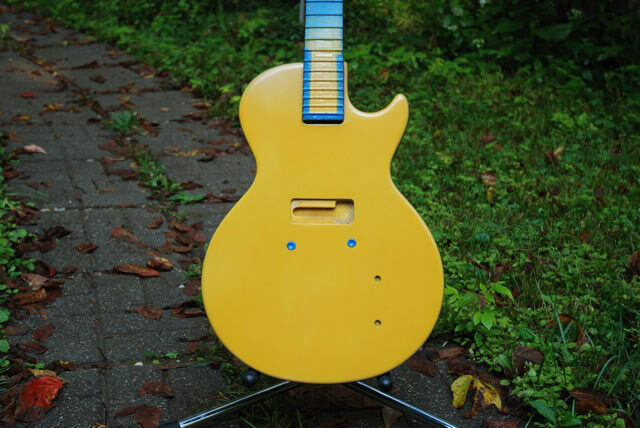 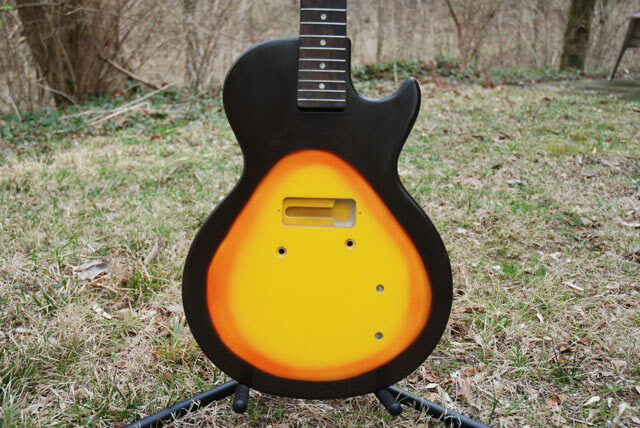 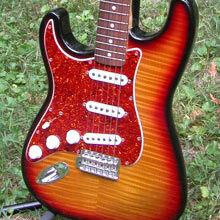 Lacquer had to be aged and sprayed to match the rest of the guitar. 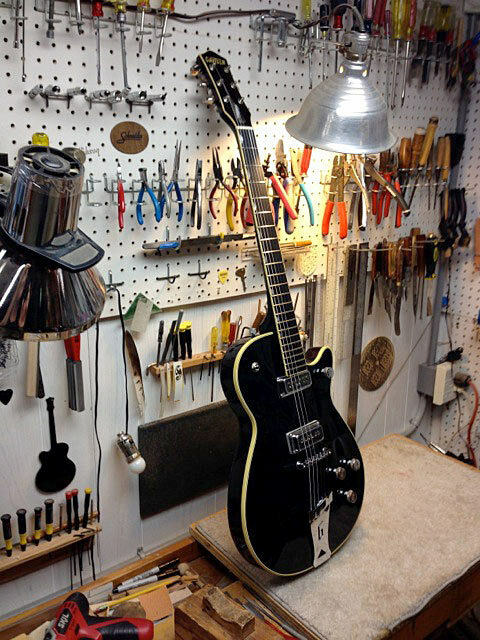 Complete guitar setup. 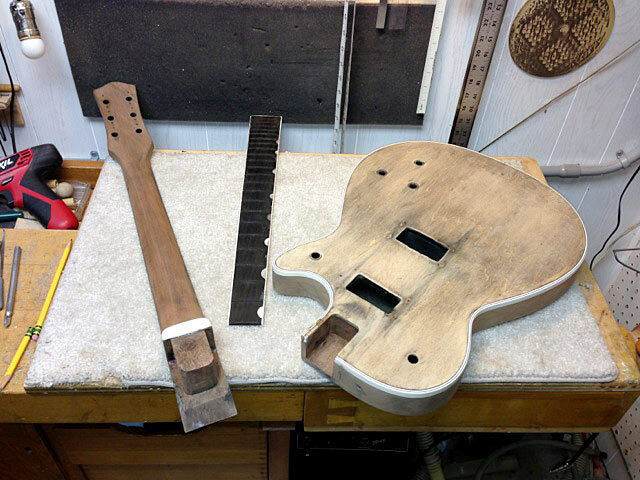 Neck was broken off. 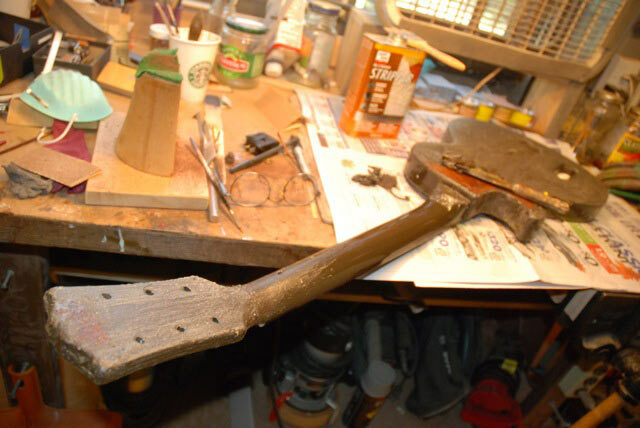 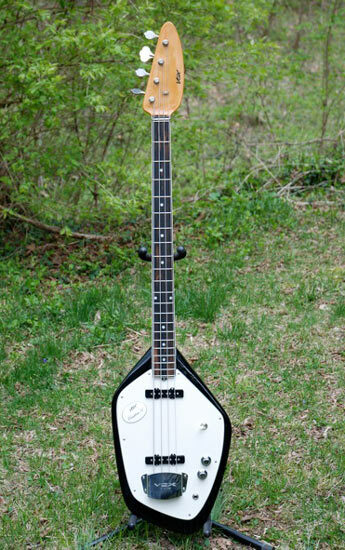 The guitar neck had to be completely re-built with a new setup, and cream lacquer touched up. 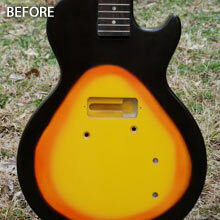 Repaired the holes and cracks in the sides, matched the sunburst paint and finished it with Nitro lacquer. 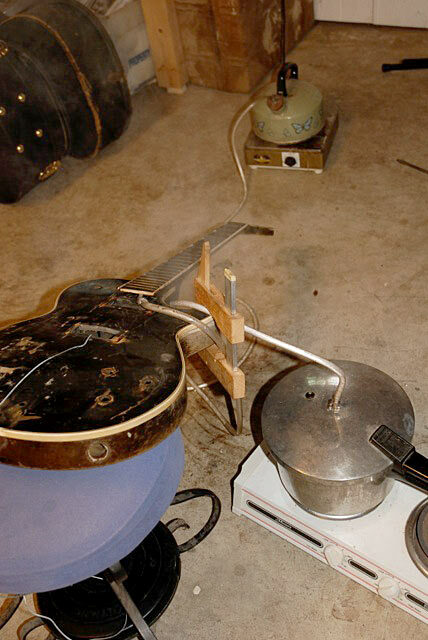 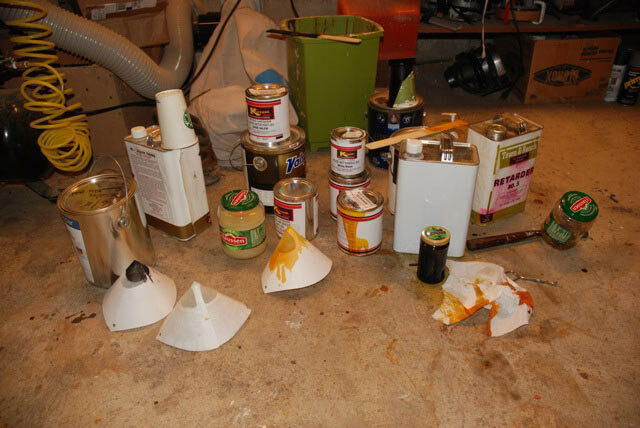 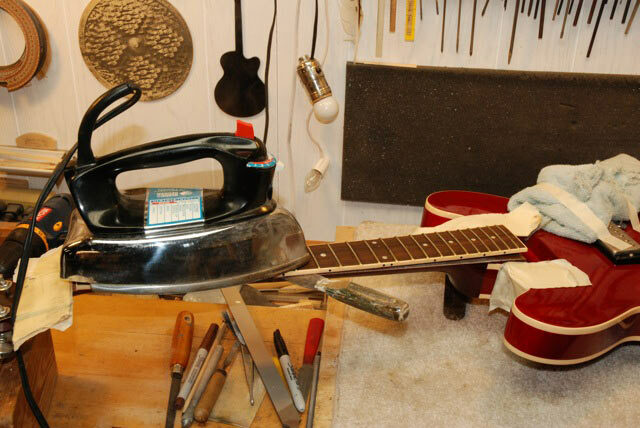 After a complete guitar setup, this guitar repair was close undetectable. 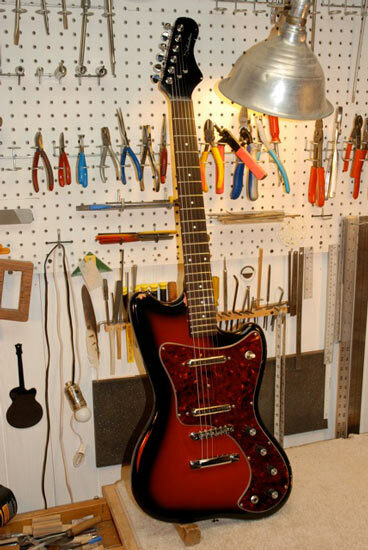 Customer found in a Texas pawnshop. 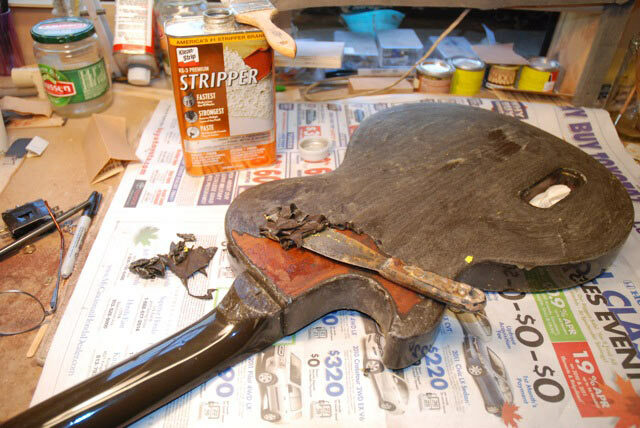 Starting off, Dave stipped off many, many layers of paint then stripped the neck. 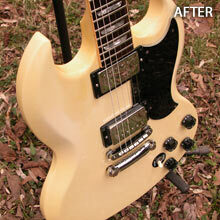 After new frets, decal, blonde finish and completely overhauled electronics, did a complete guitar setup. 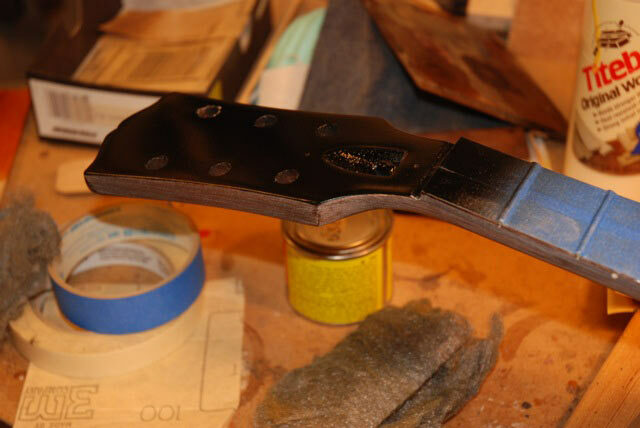 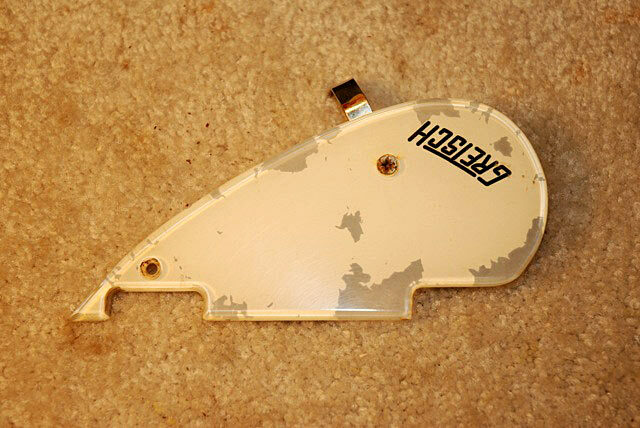 Original pick-guard restored. 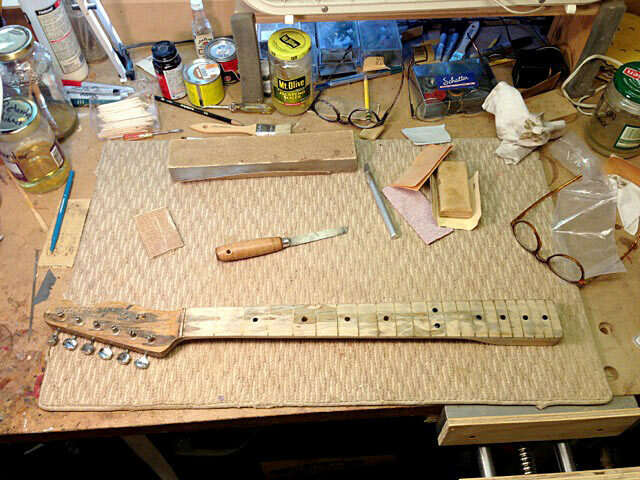 Removed and replaced all frets. 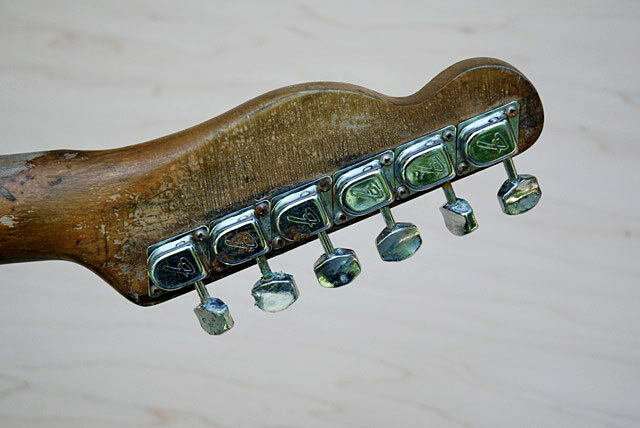 New bone nut. 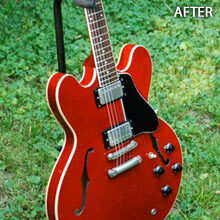 Cleaned the guitar finish. 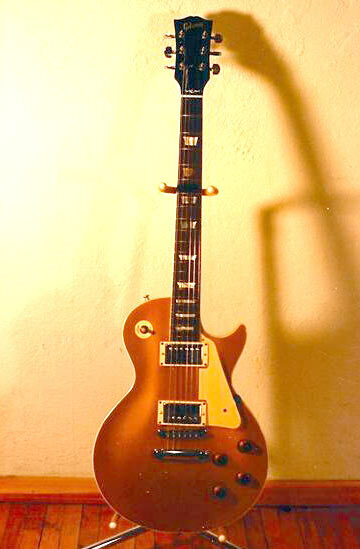 Complete guitar setup. 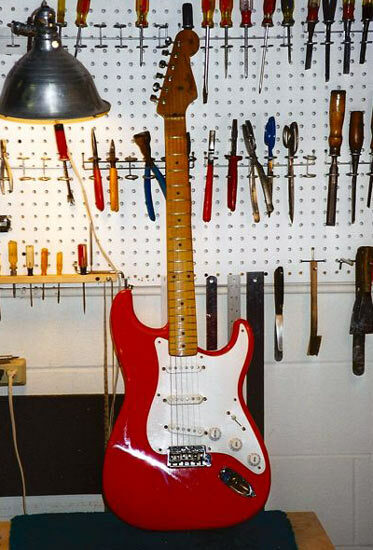 "Your work made it the great guitar that I always knew it could be." 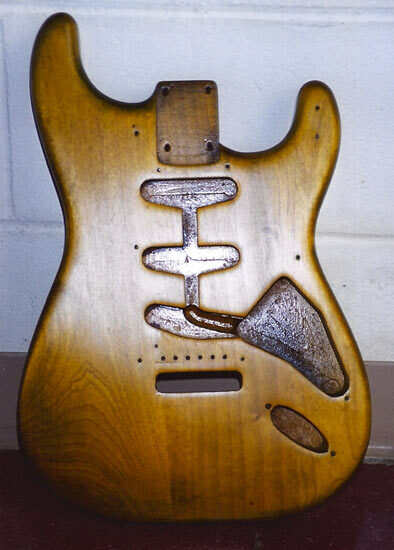 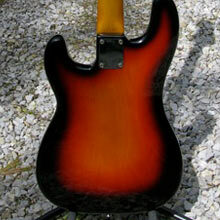 ~ Mark C.
Stripped off battered finish. 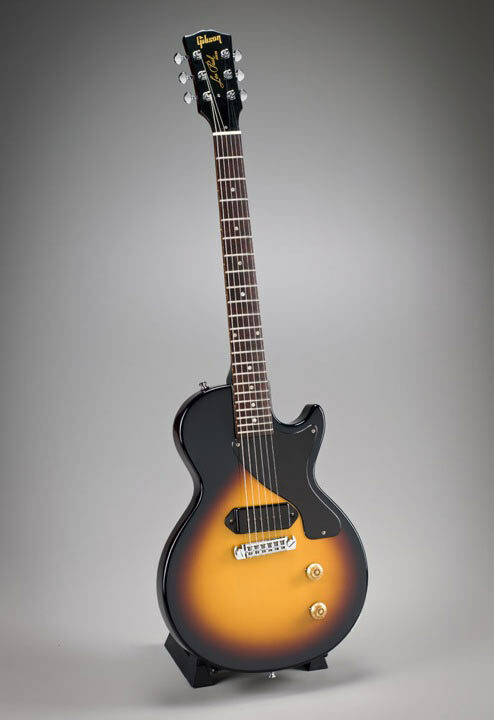 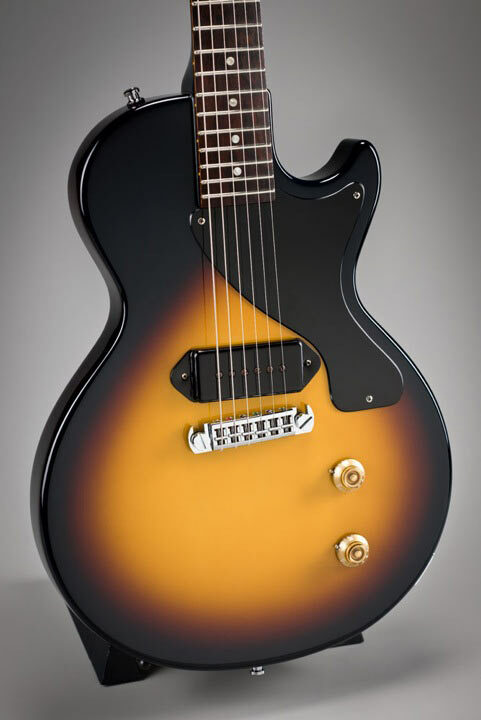 New 3 tone sunburst around the entire guitar. 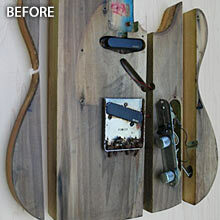 Re-wired electronics. 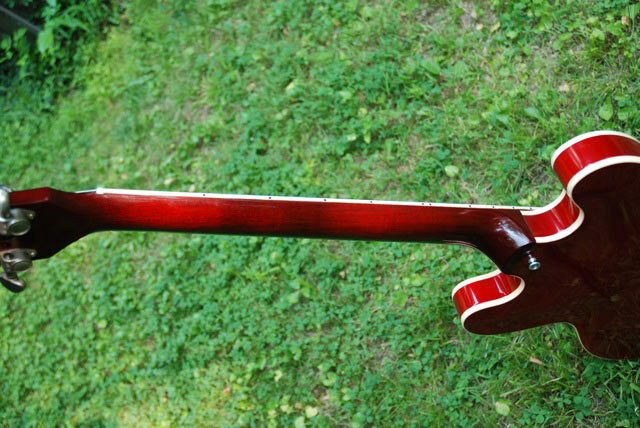 New frets. 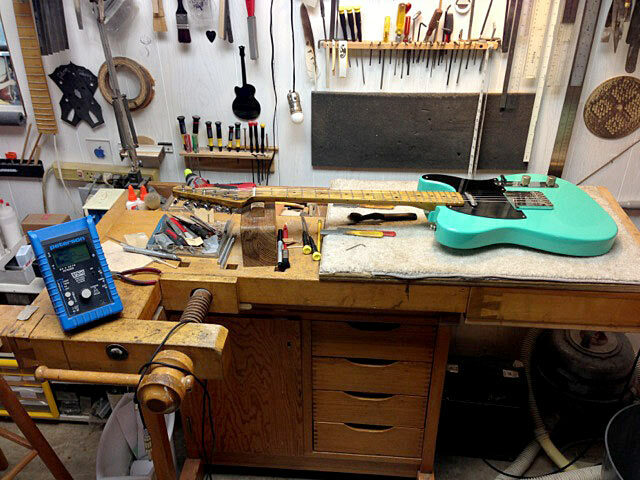 Complete guitar setup. 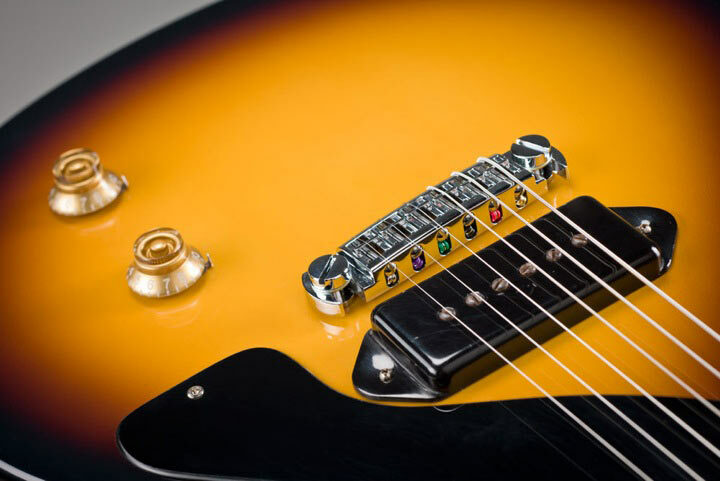 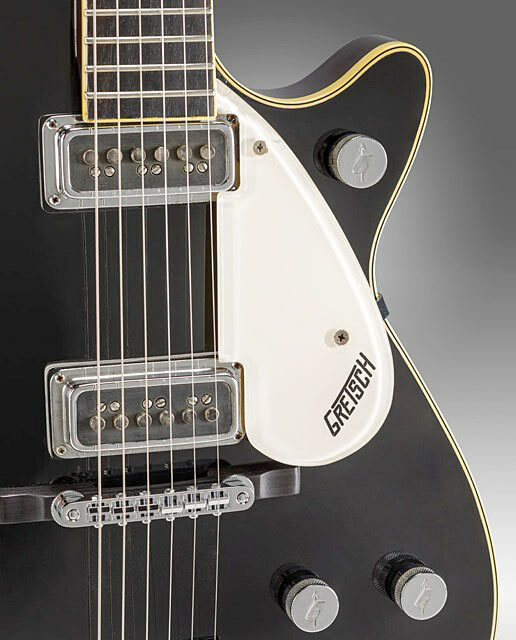 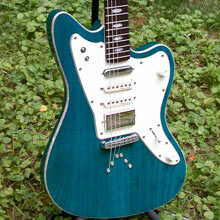 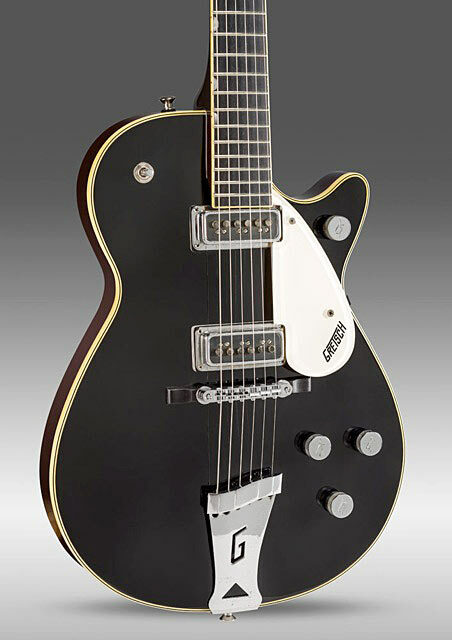 One amazing sounding guitar! 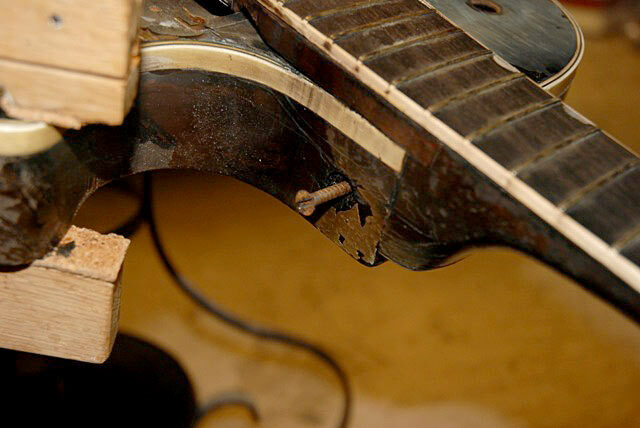 Guitar was cracked badly. 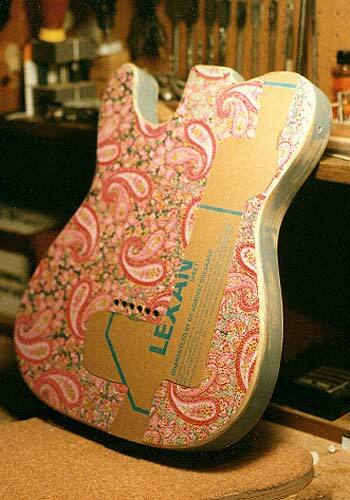 Wallpaper missing on back. 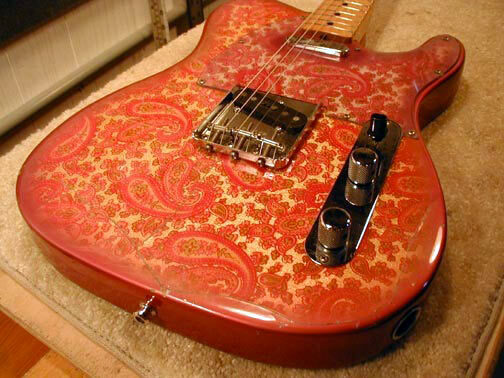 Filled in to match wallpaper. 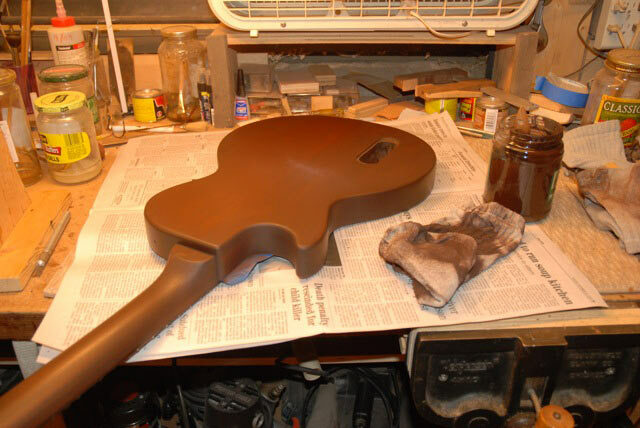 Leveled finish to the rest of the instrument. 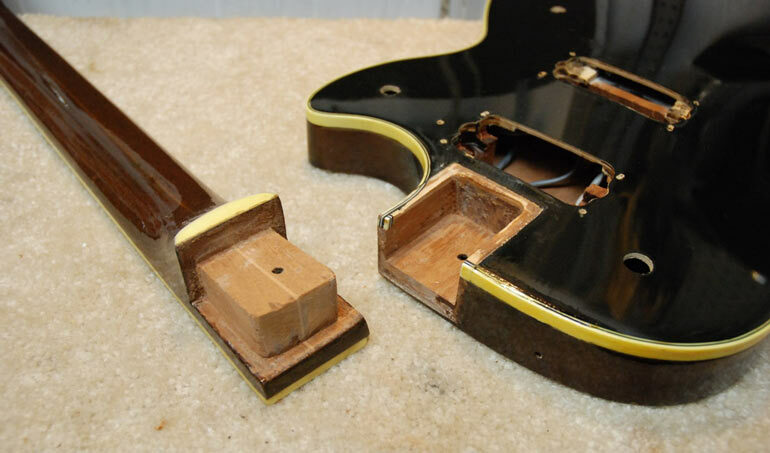 Glued all loose finish cracks and touched up. 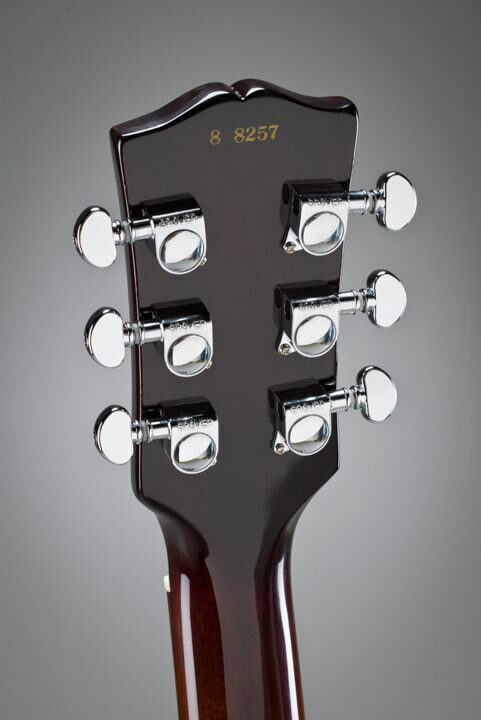 Added custom neck shim. 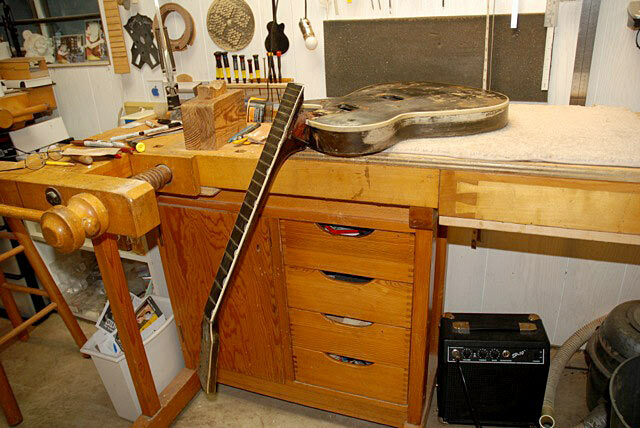 Complete guitar setup. 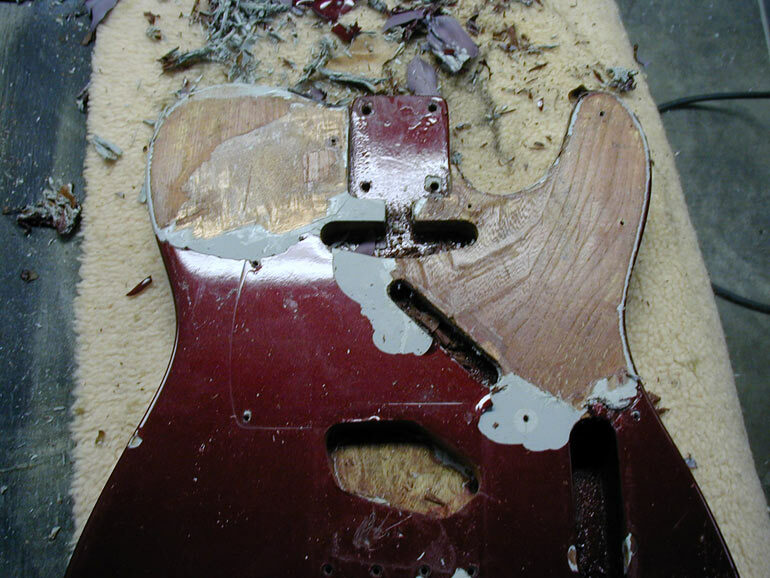 Completely stripped old finish. 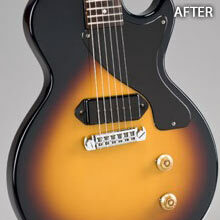 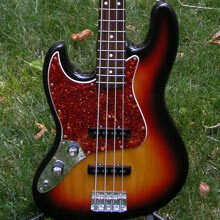 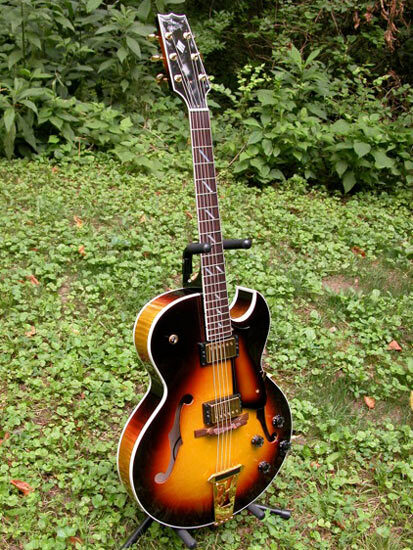 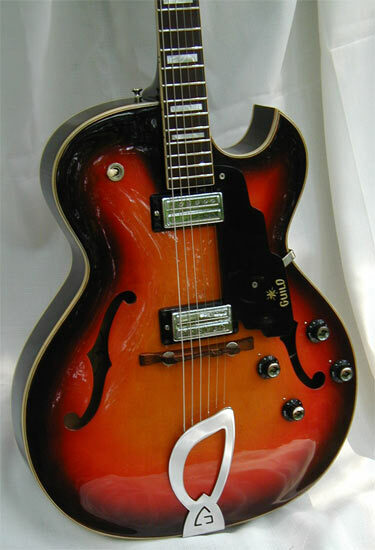 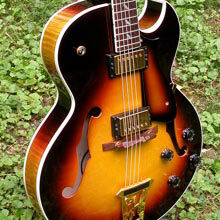 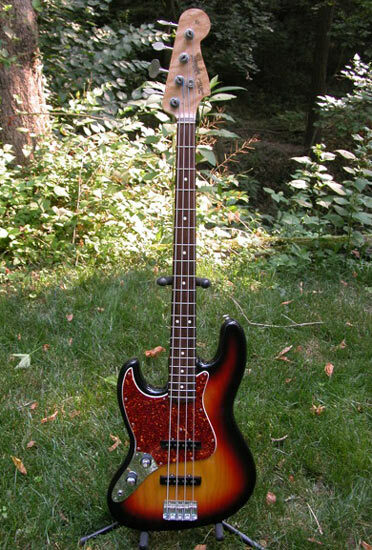 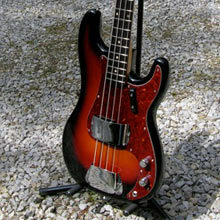 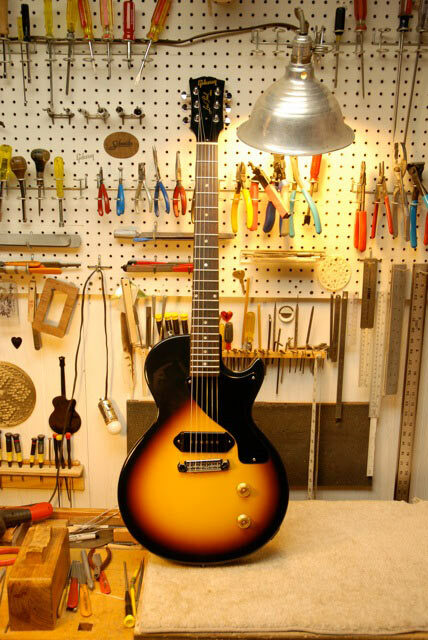 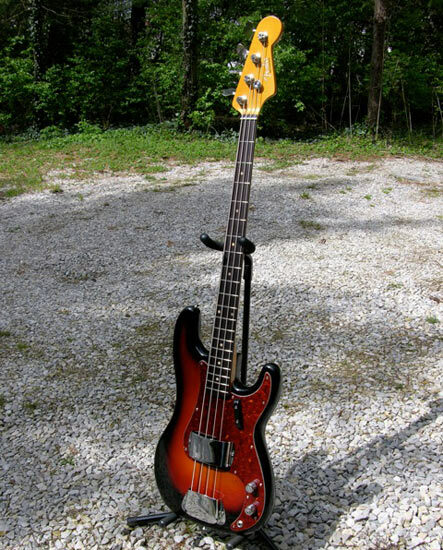 Re-finished 2 tone sunburst with Nitro lacquer. 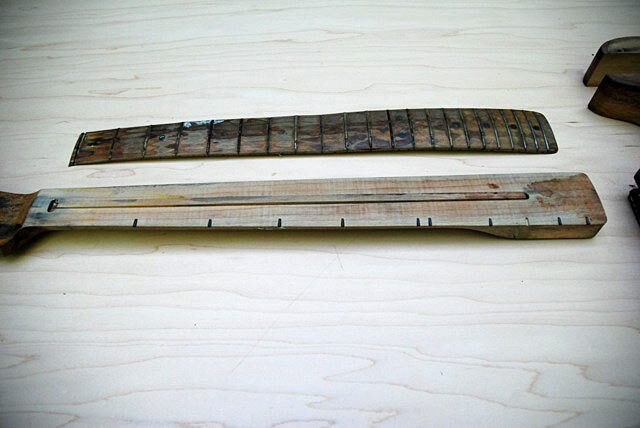 Leveled Brazillian Rosewood fingerboard. 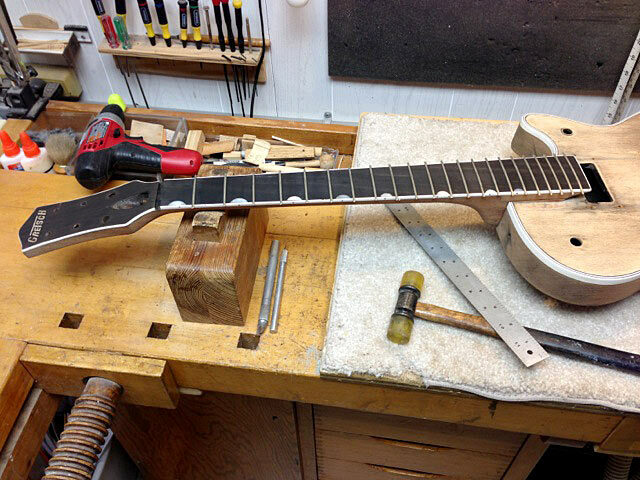 Installed new frets. 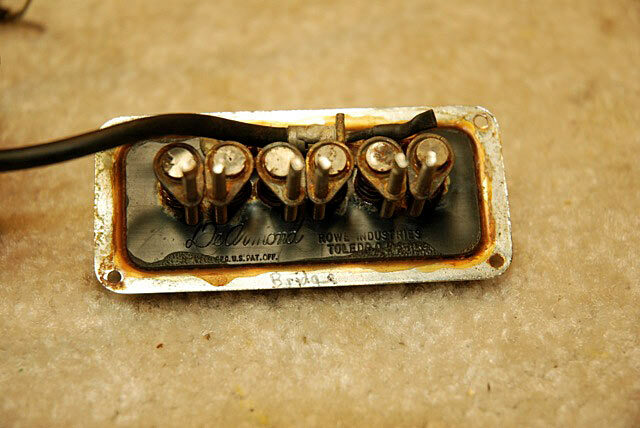 Replaced input jack. 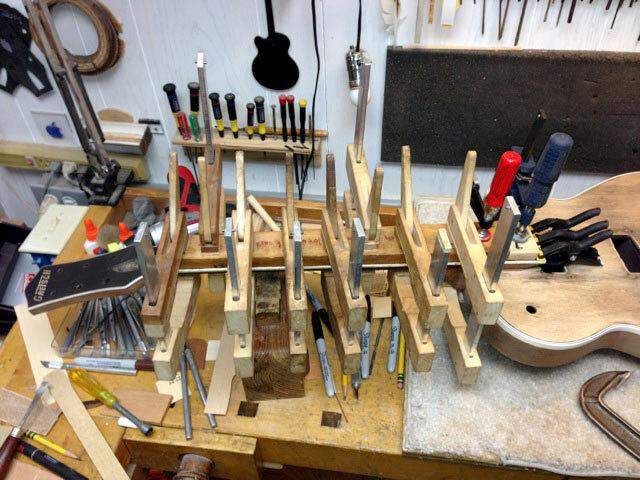 Complete guitar setup. 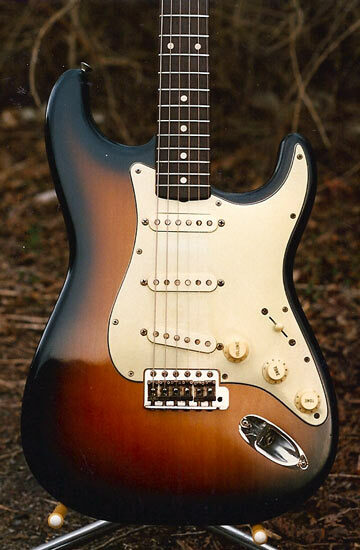 One of the nicest Strats I've every played! 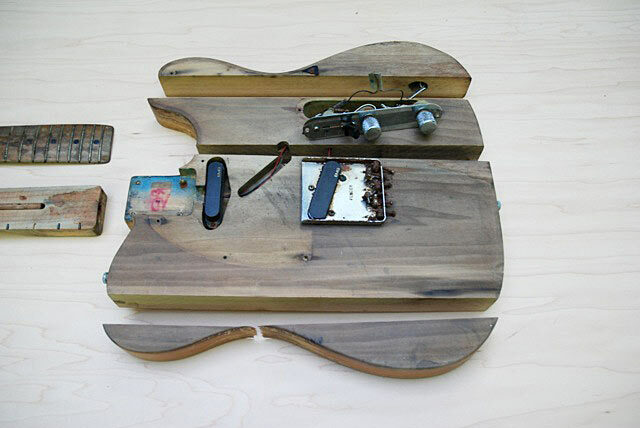 The body was like someone took a chainsaw to it. 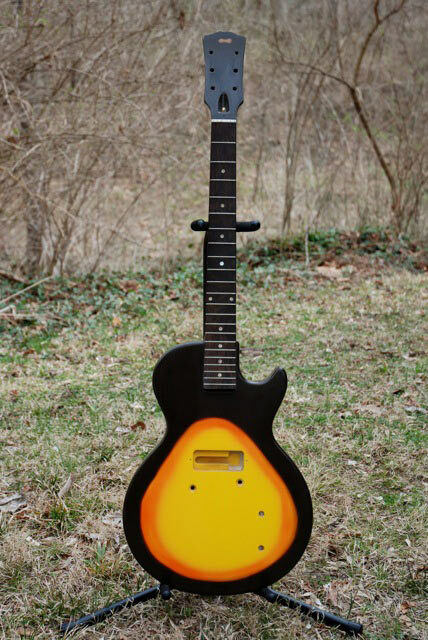 It was completly restored and refinished with a 3 tone sunburst, vintage aged neck lacquer, new decal (missing), new frets and a new bone nut. 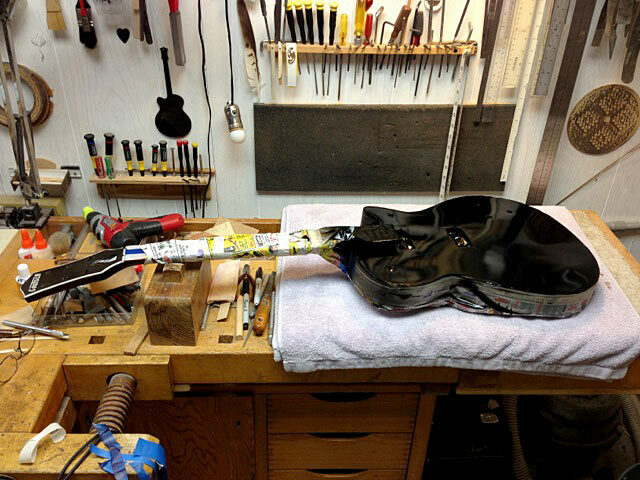 These fine electric guitars came to Dave in need of major repair and restoration. 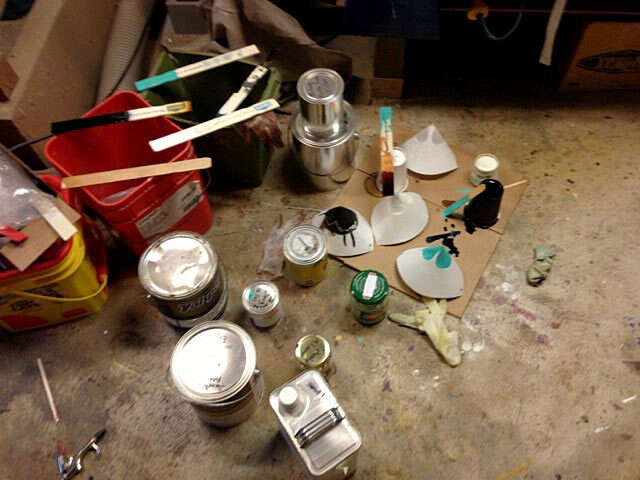 But we simply dropped the ball and didn't think to take a picture of their "before" state. 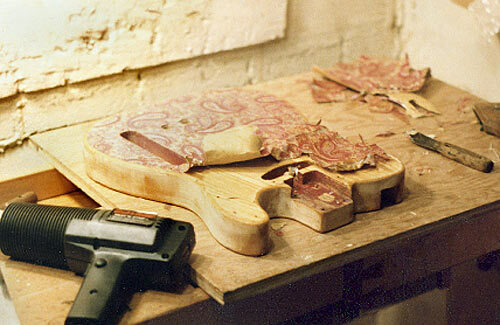 All were completed by Dave himself. 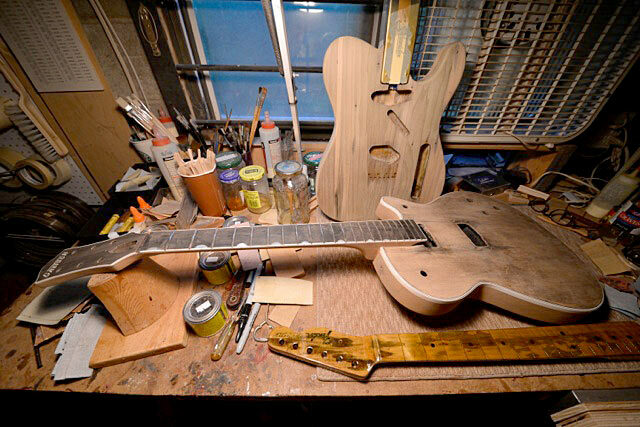 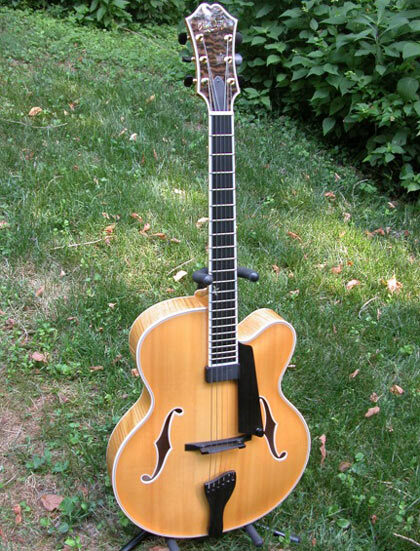 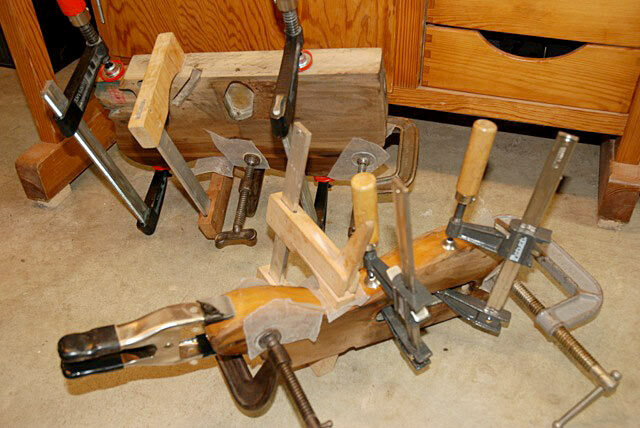 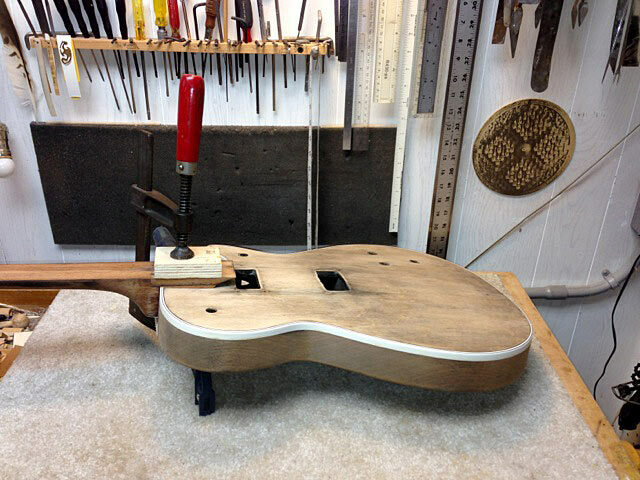 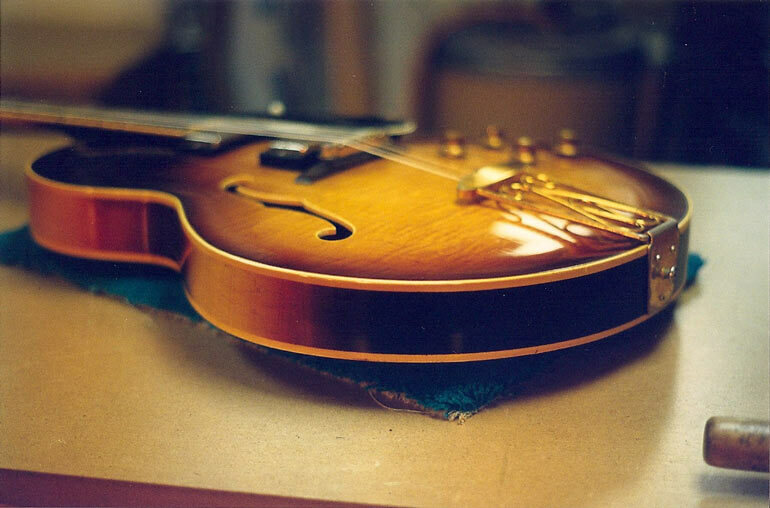 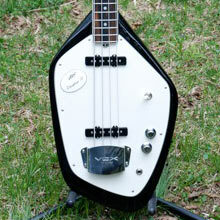 One luthier on every instrument, all the time. 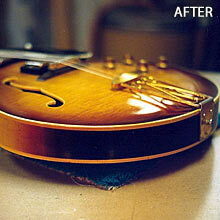 Simple click any of the below repair and restoration images to view them larger. 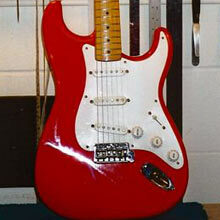 Fiesta Red re-finish and re-fret. 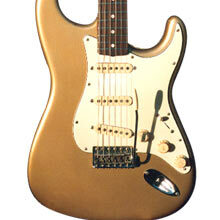 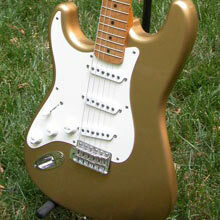 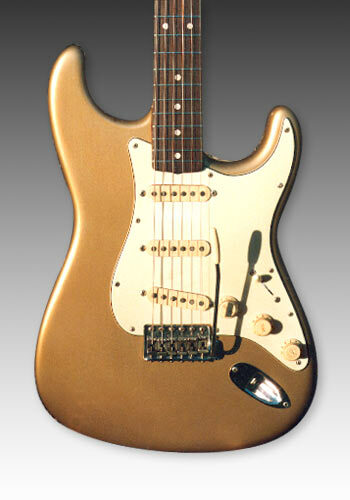 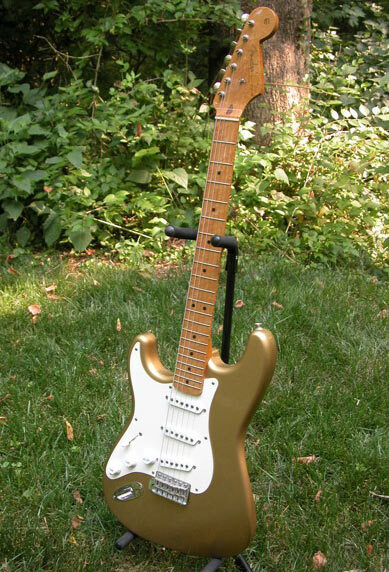 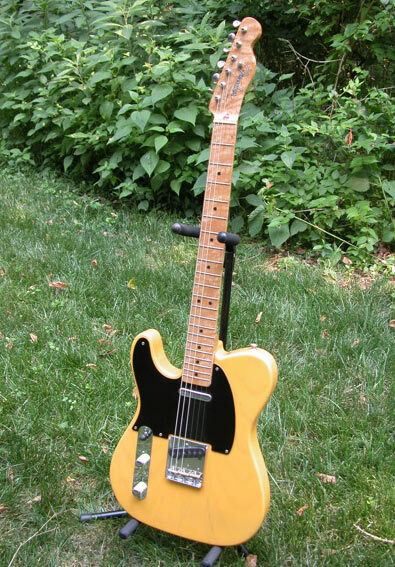 Sureline Gold re-finish and re-fret. 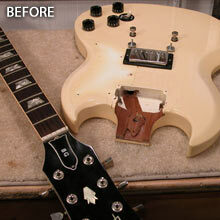 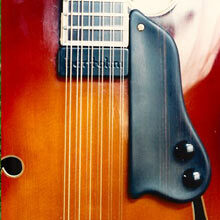 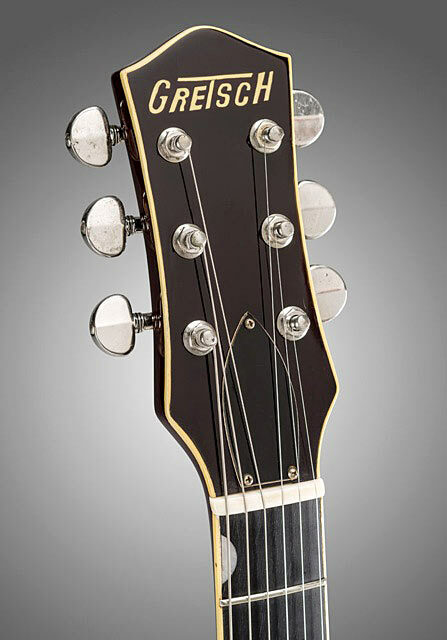 It's been more than 30 years - experience matters with guitar setups. 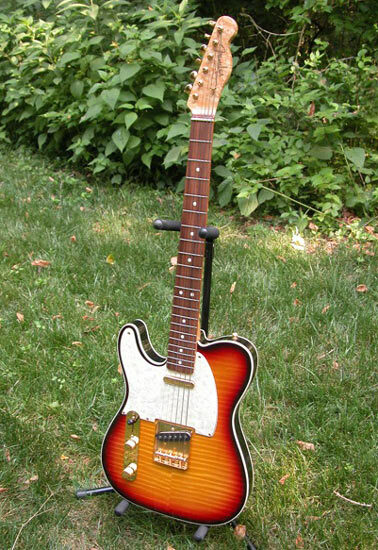 Here are some of the finer electric guitars that Dave has setup in the more recent past. 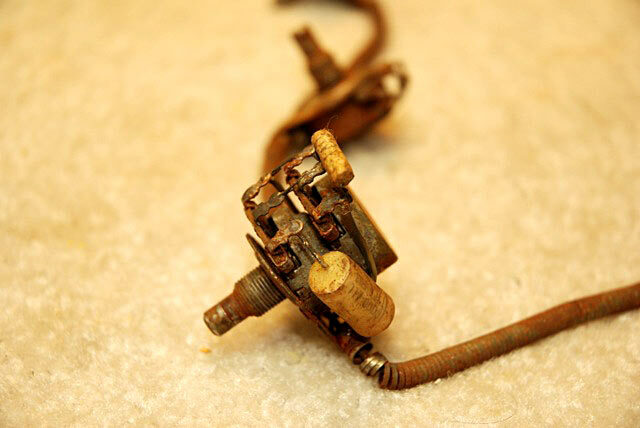 Simple click any of the below images to view them larger.